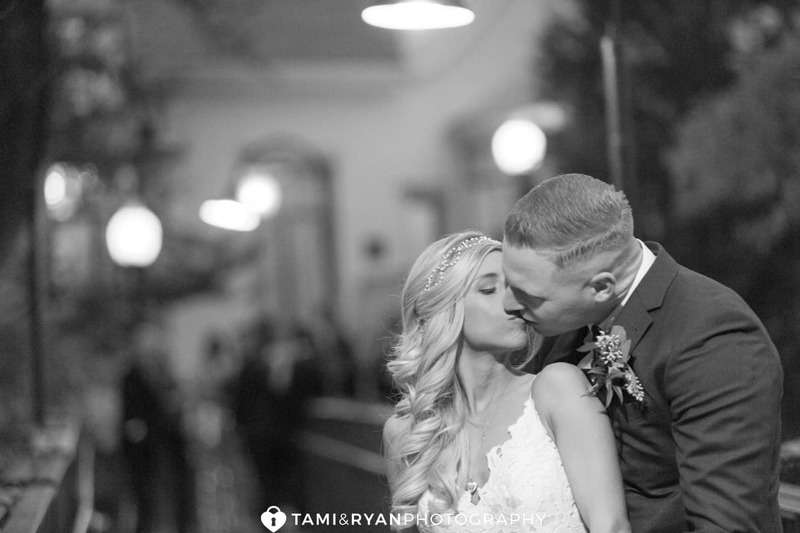 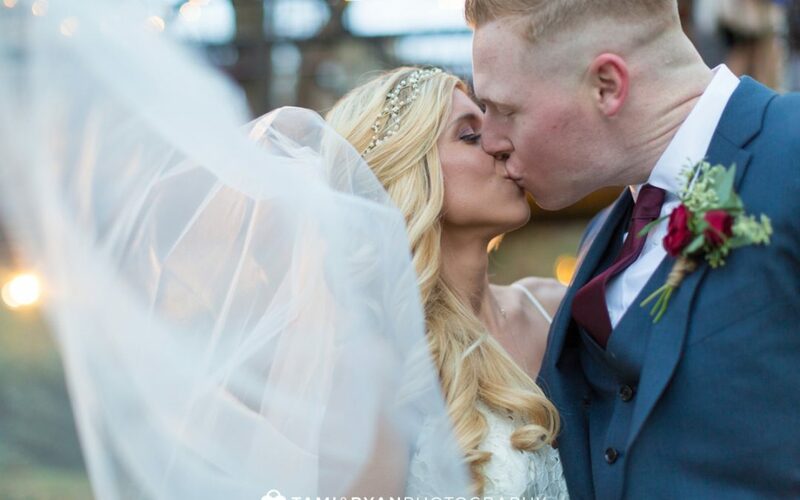 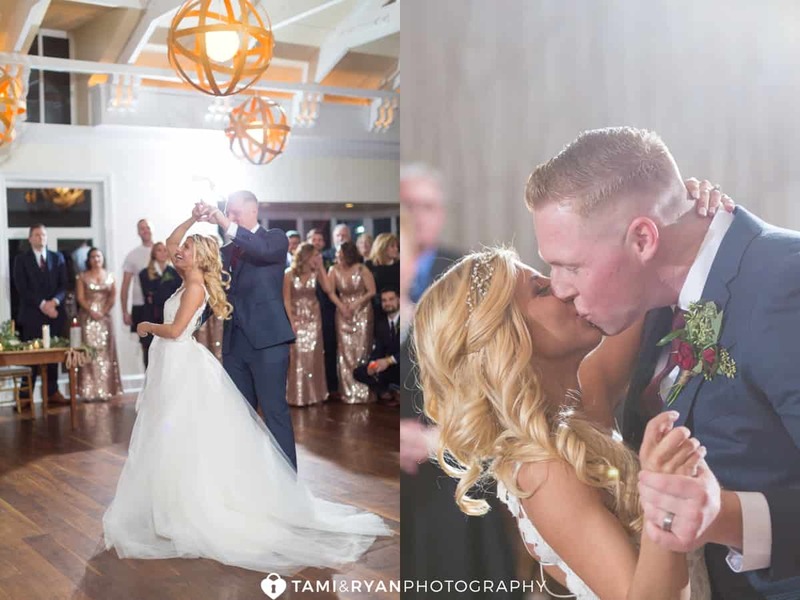 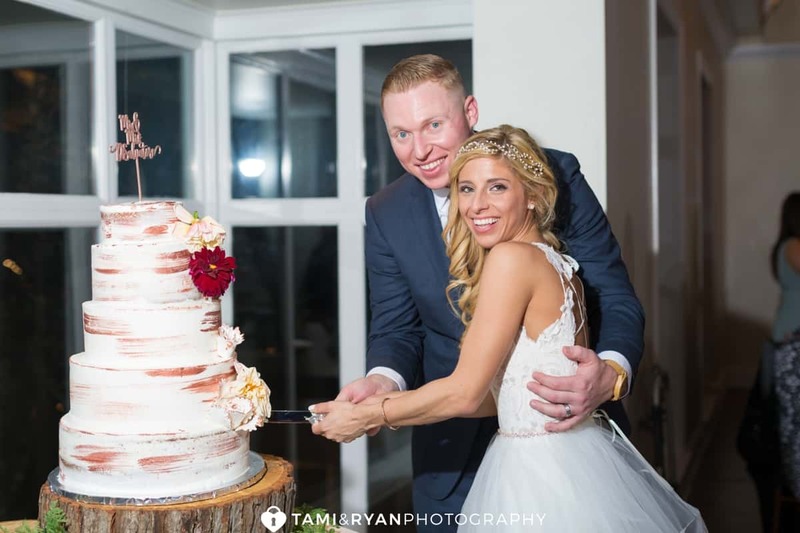 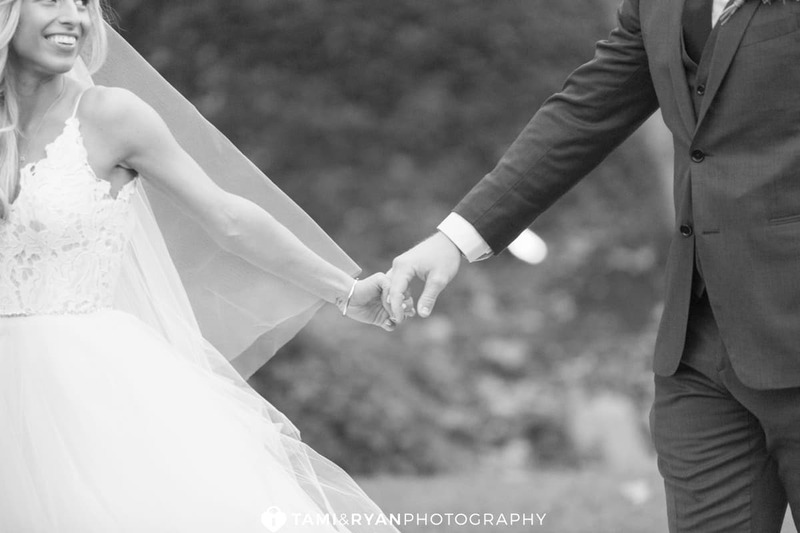 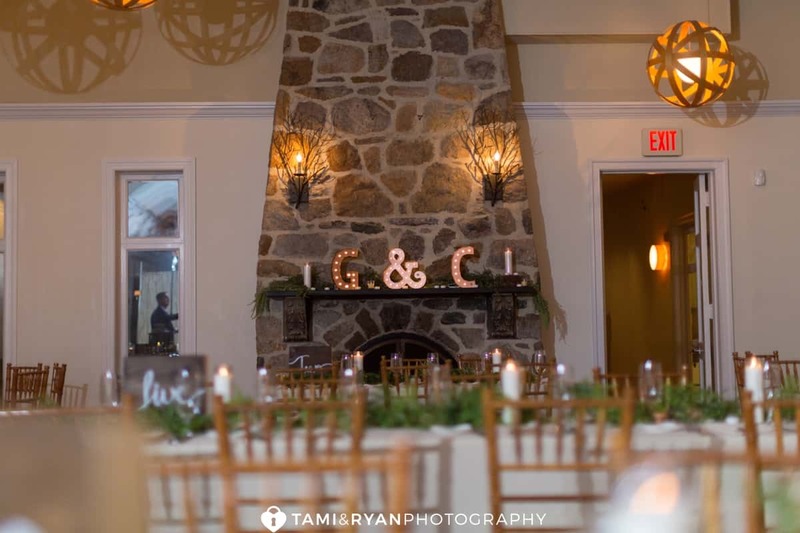 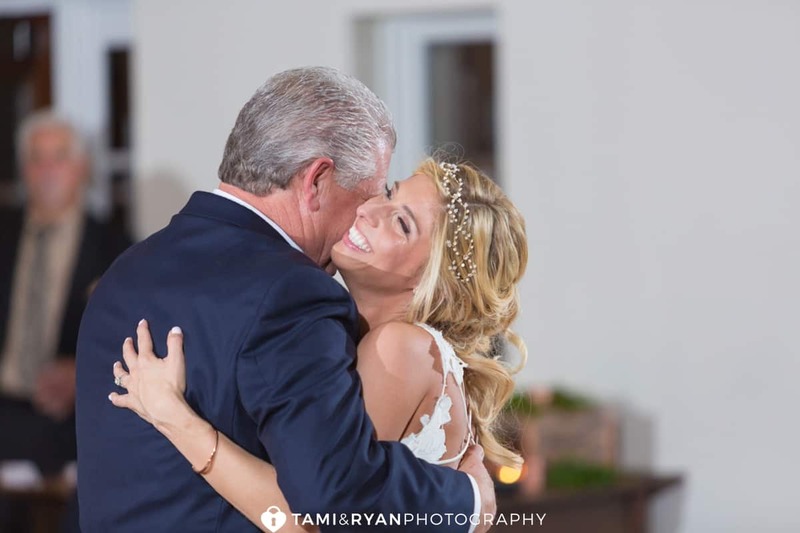 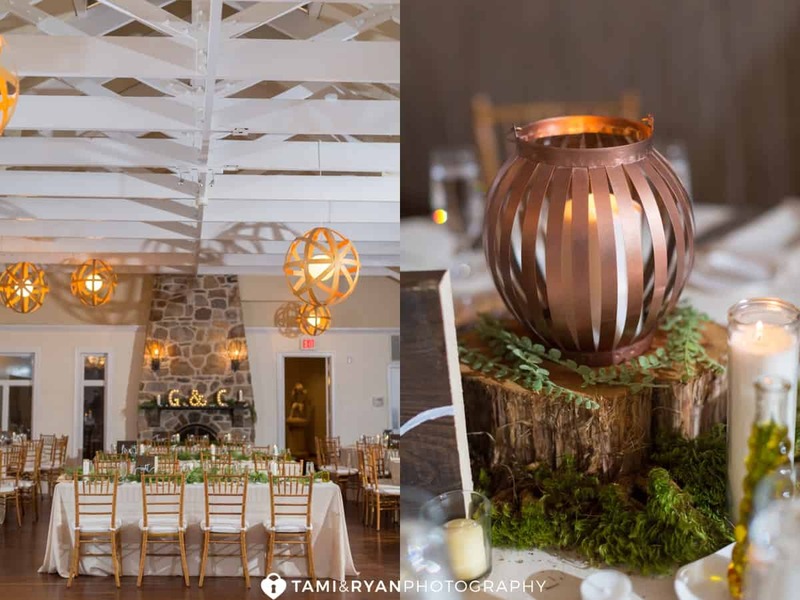 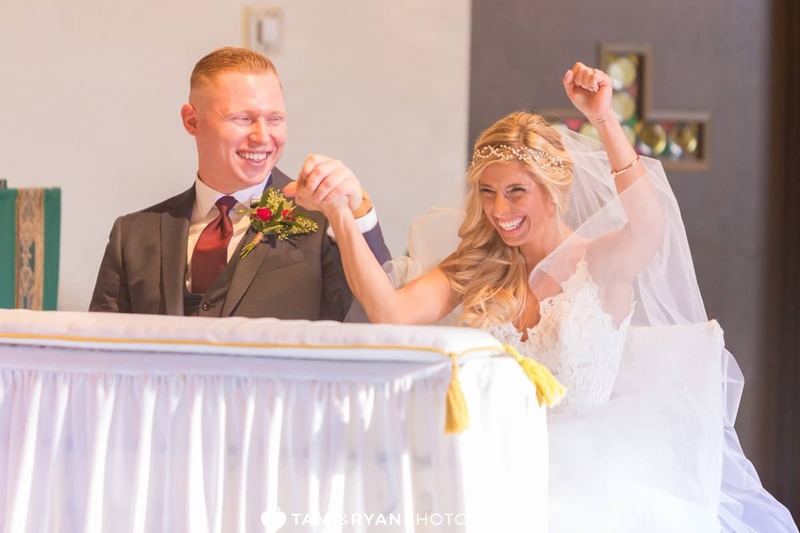 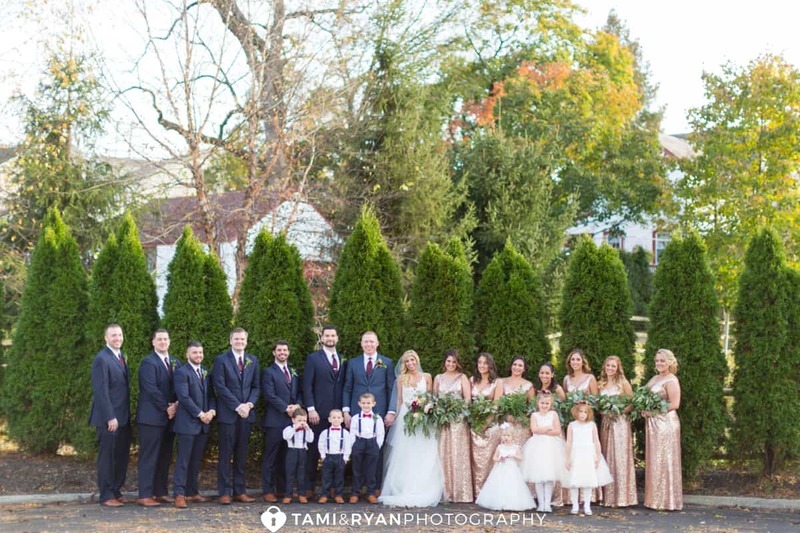 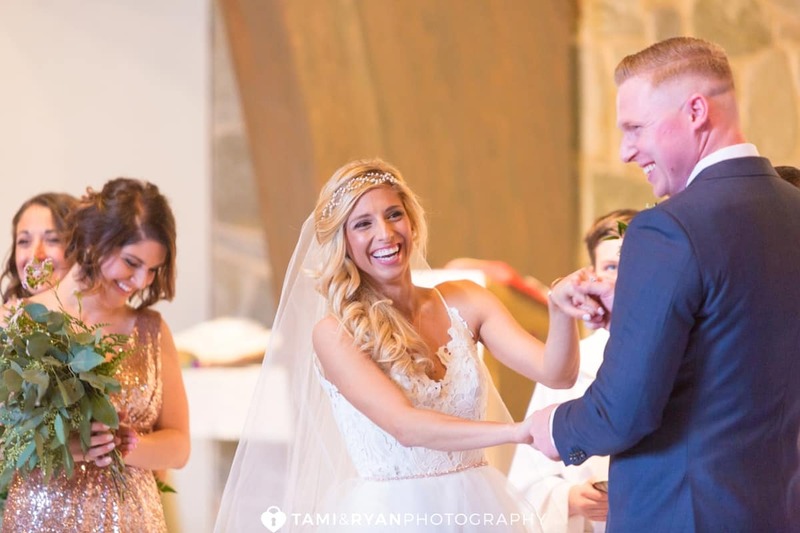 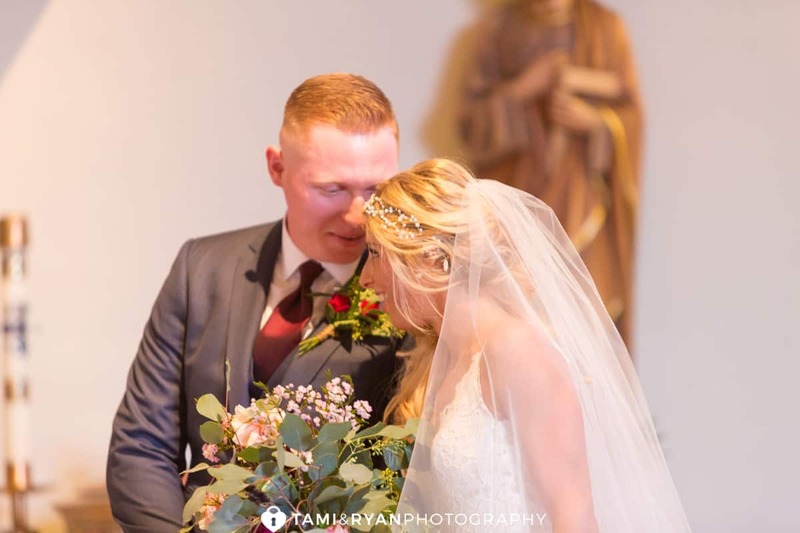 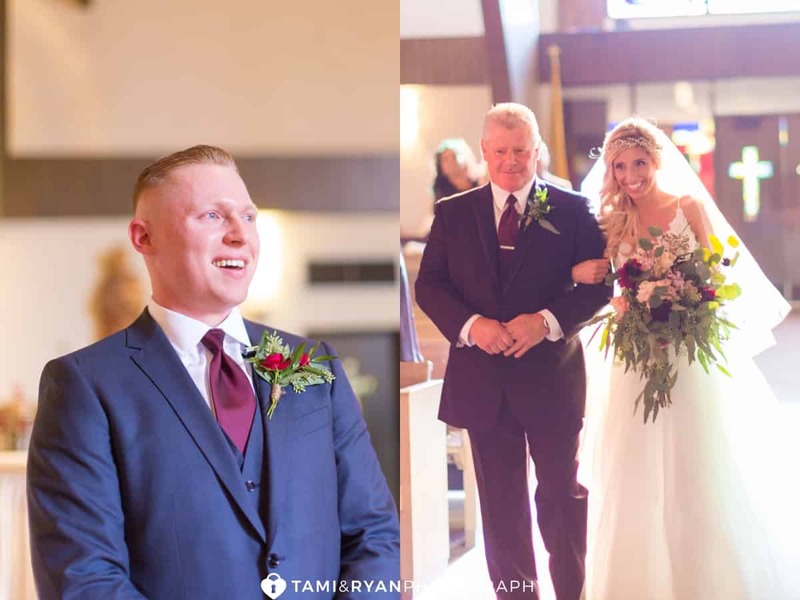 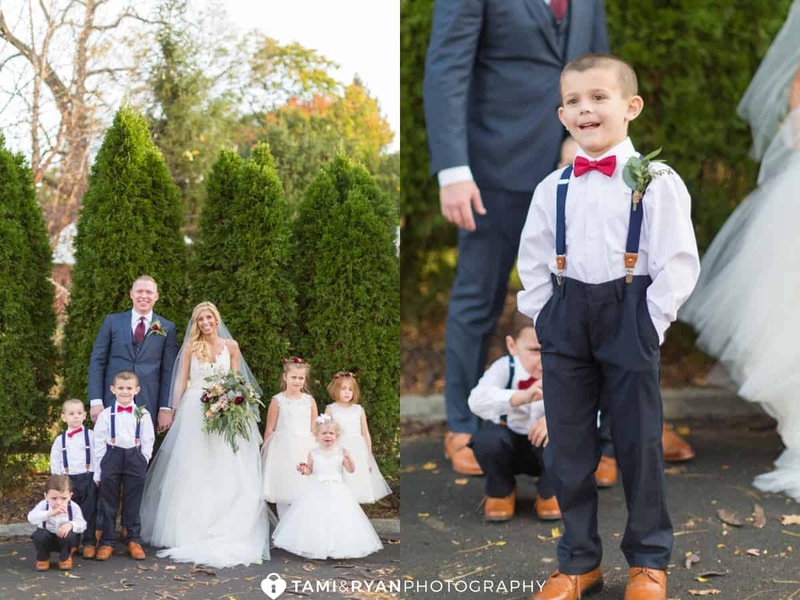 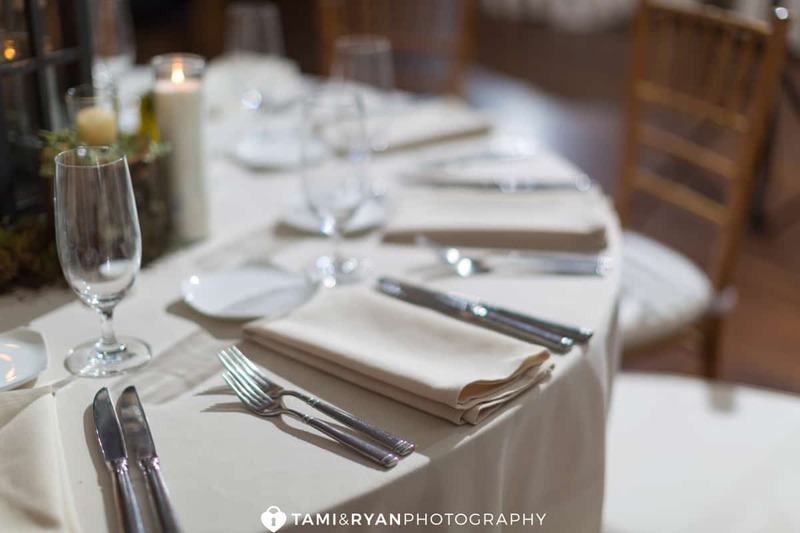 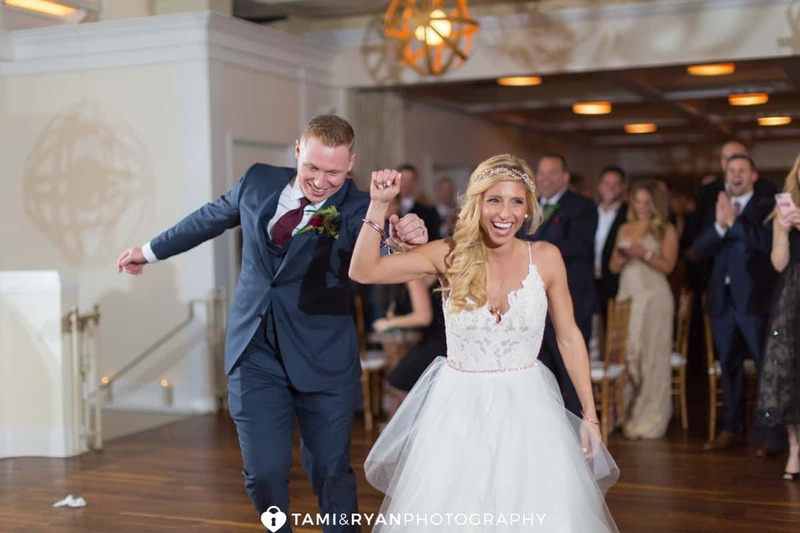 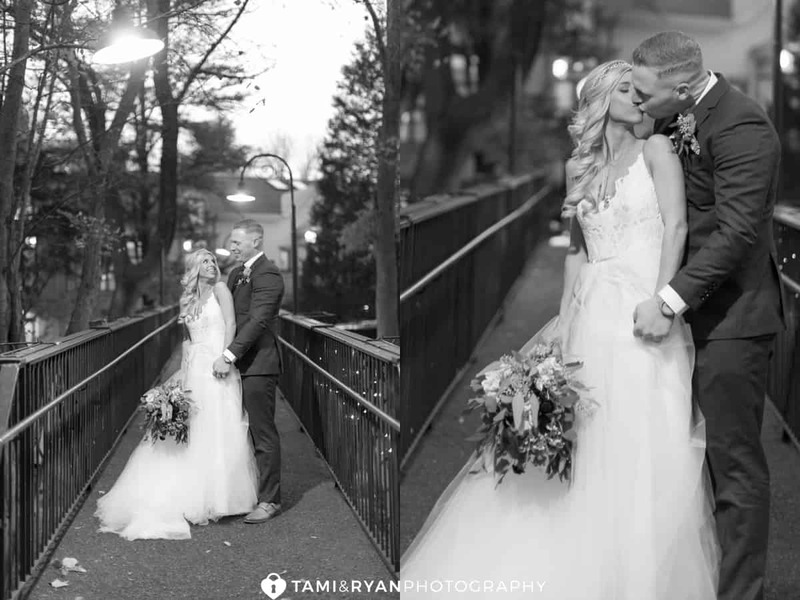 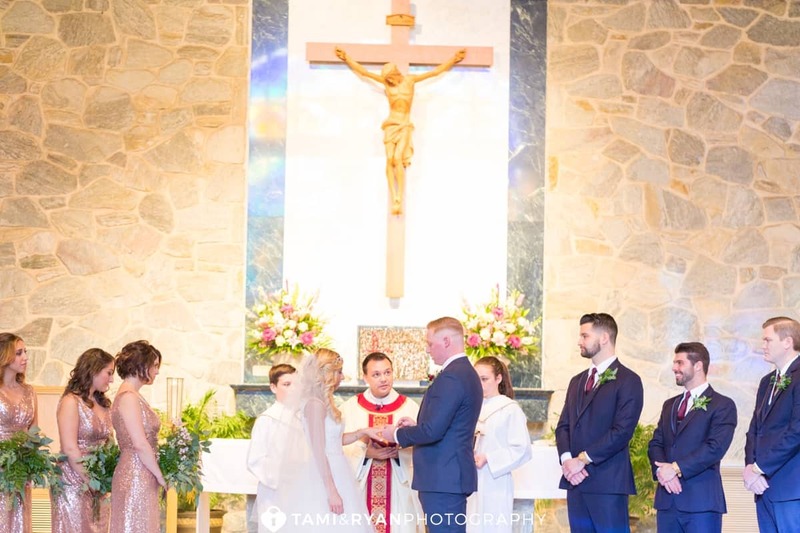 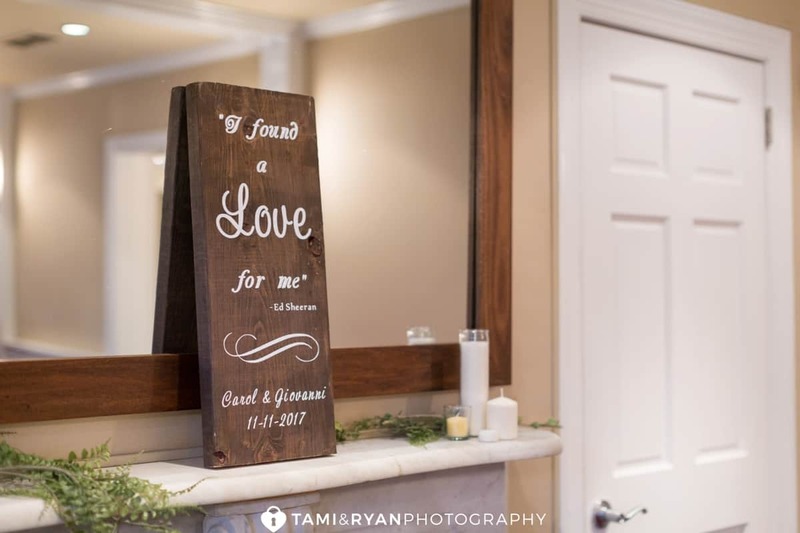 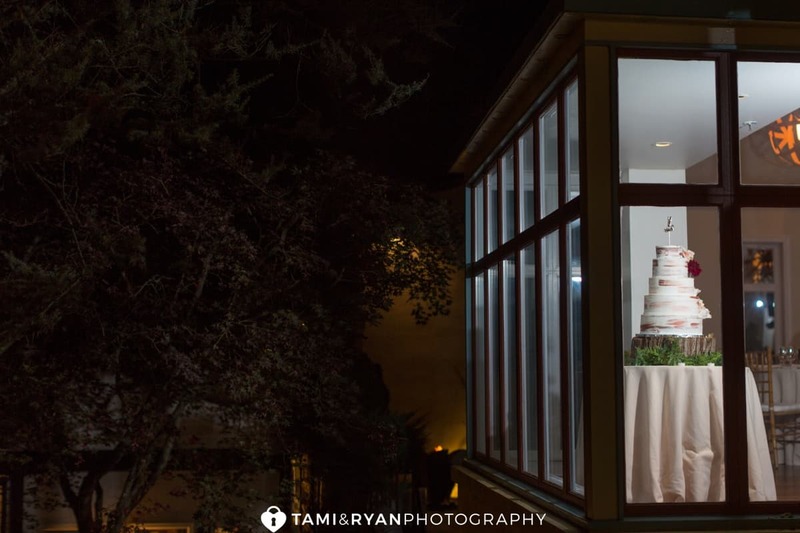 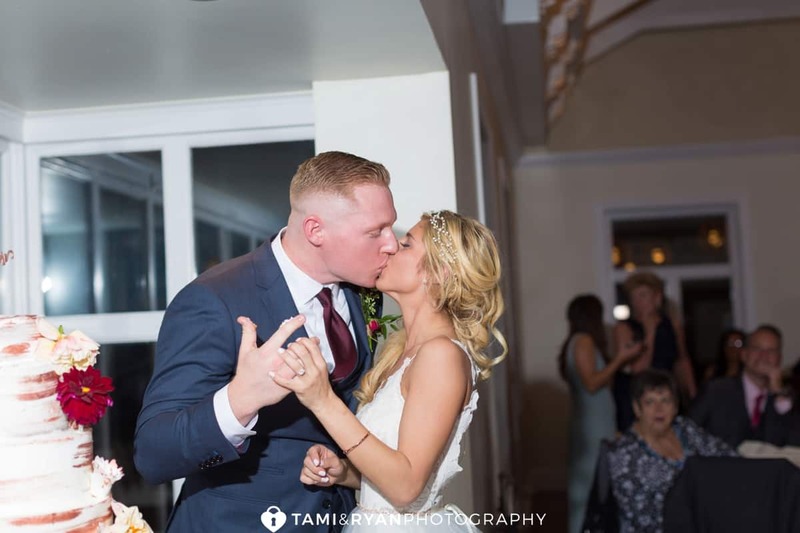 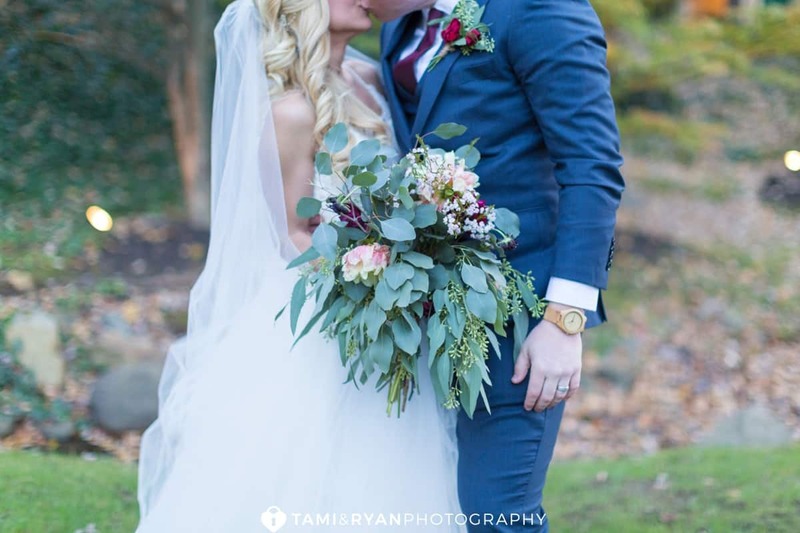 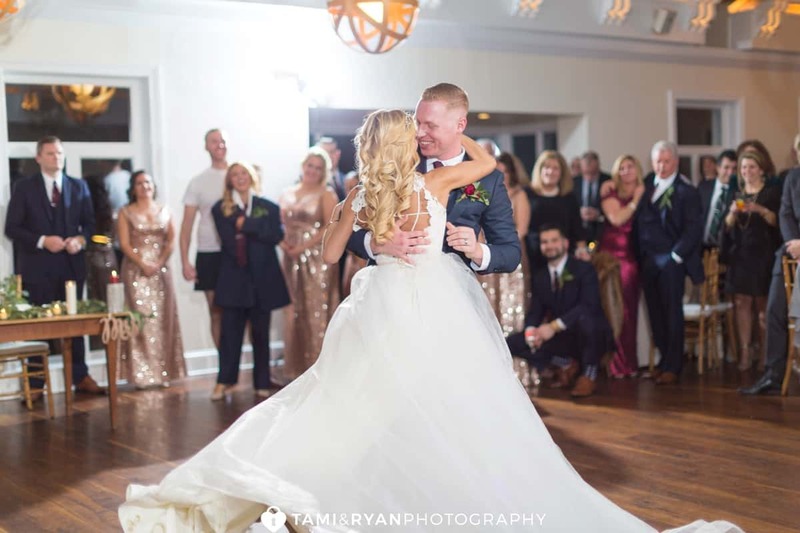 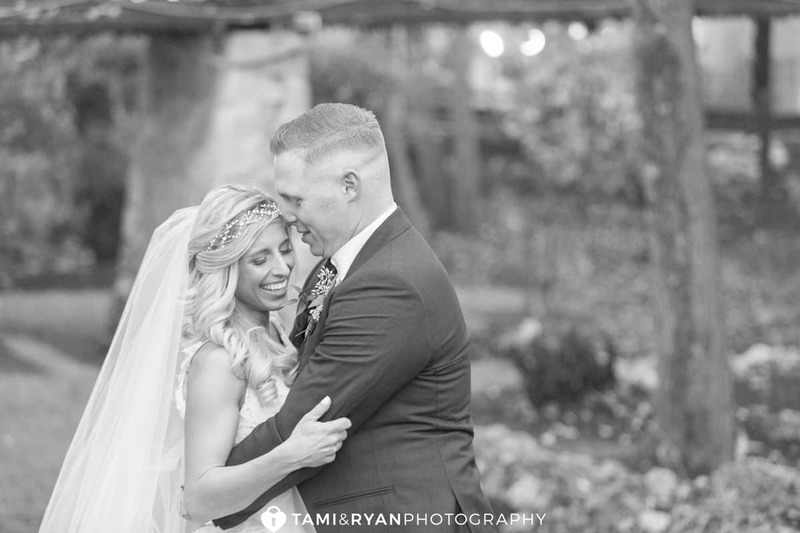 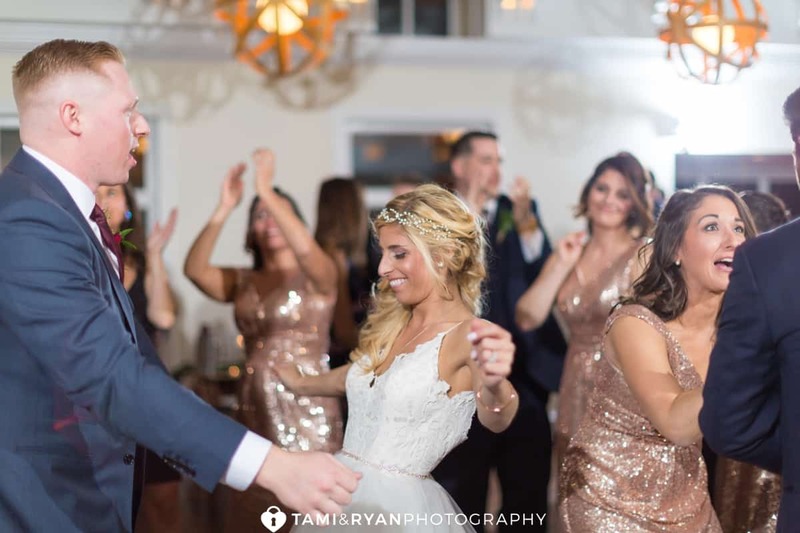 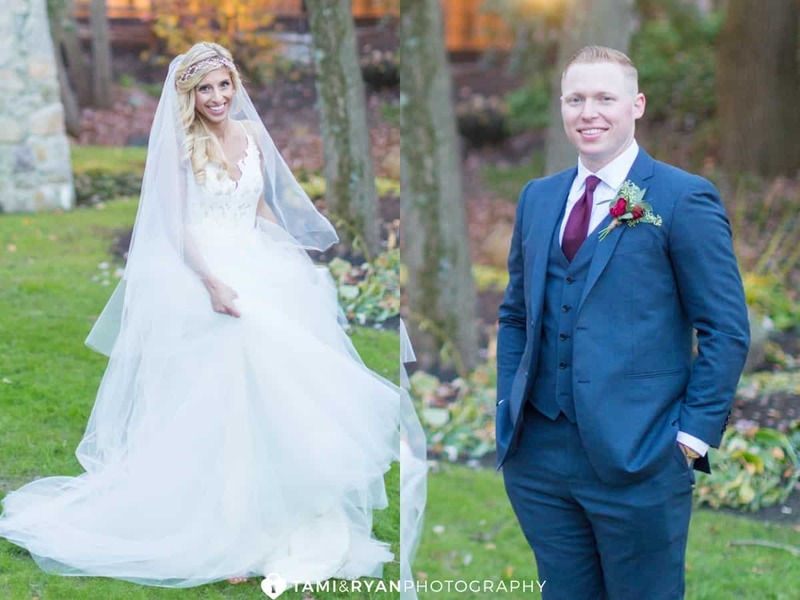 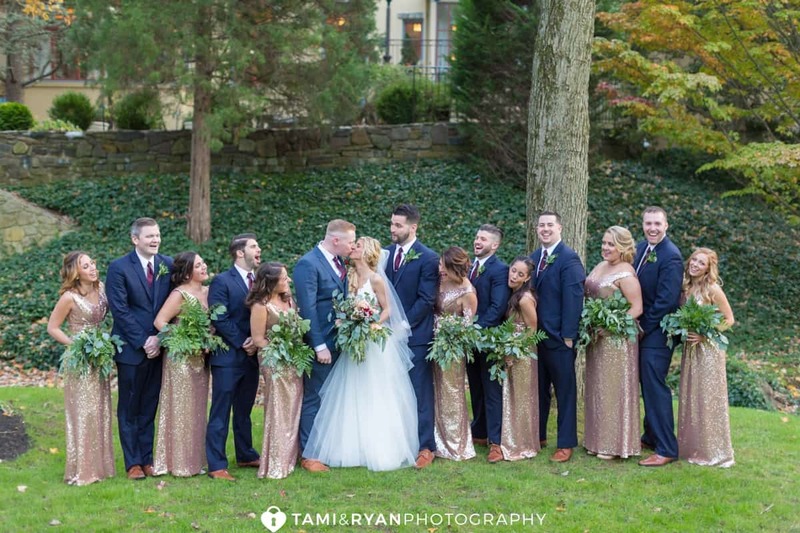 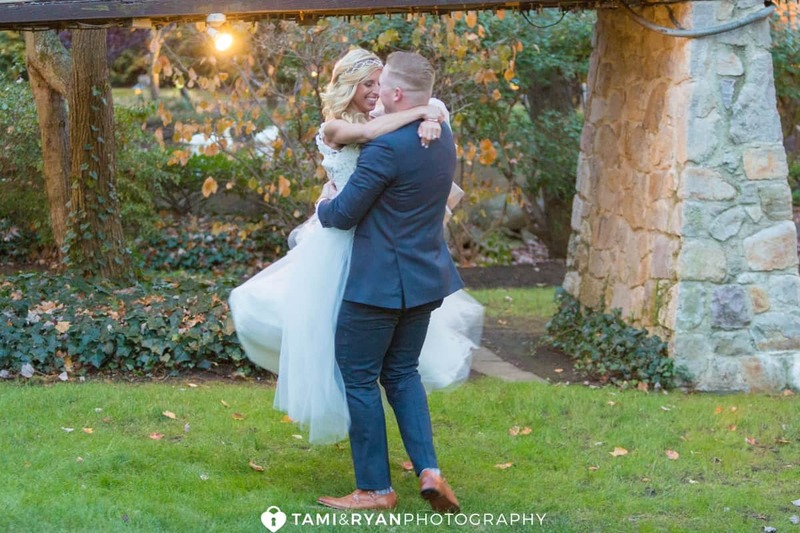 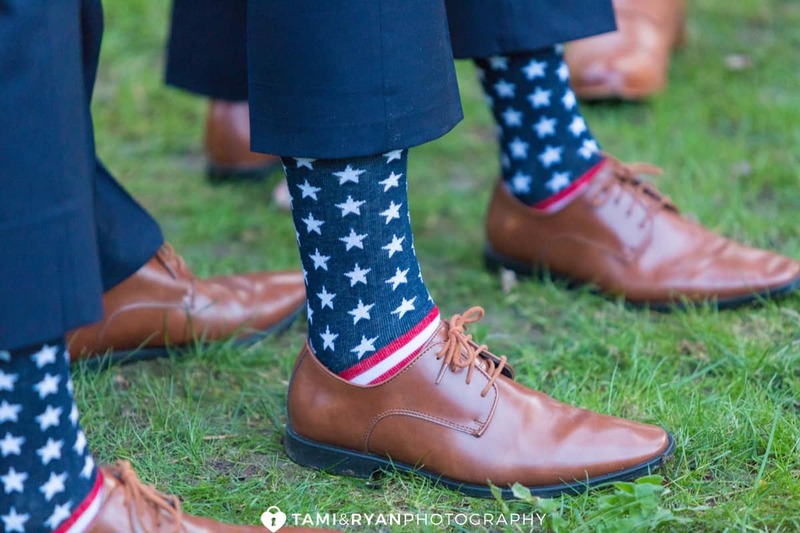 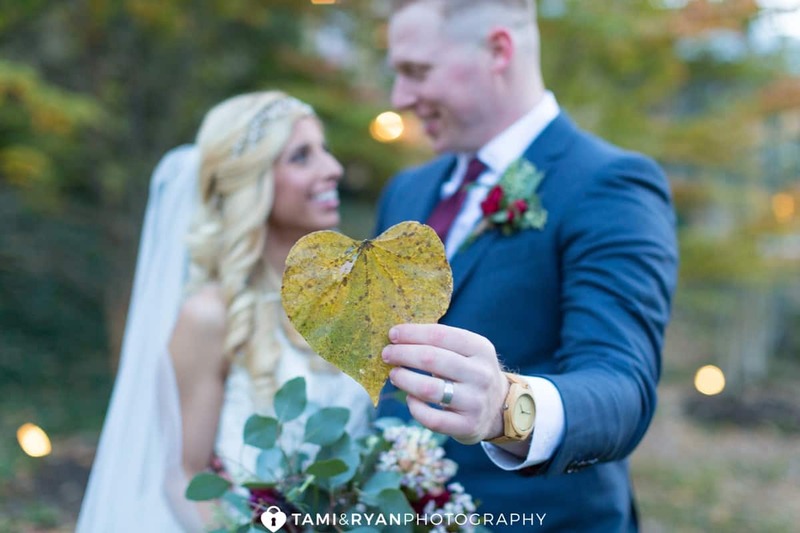 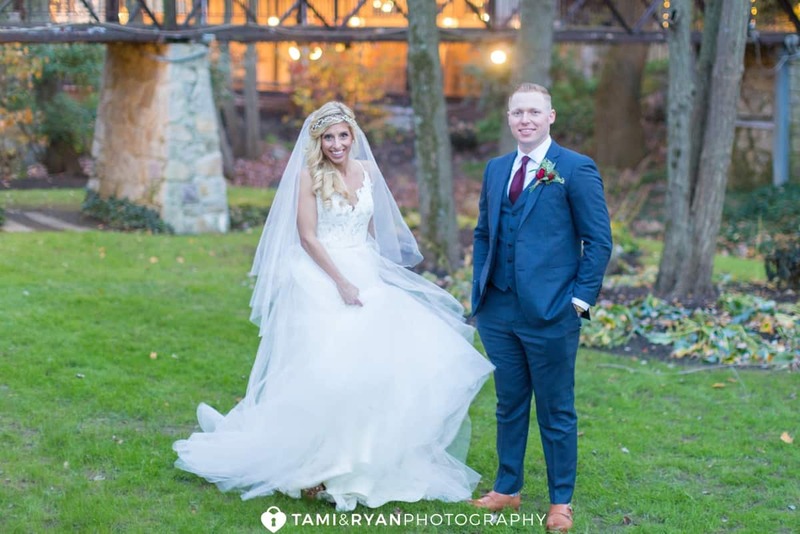 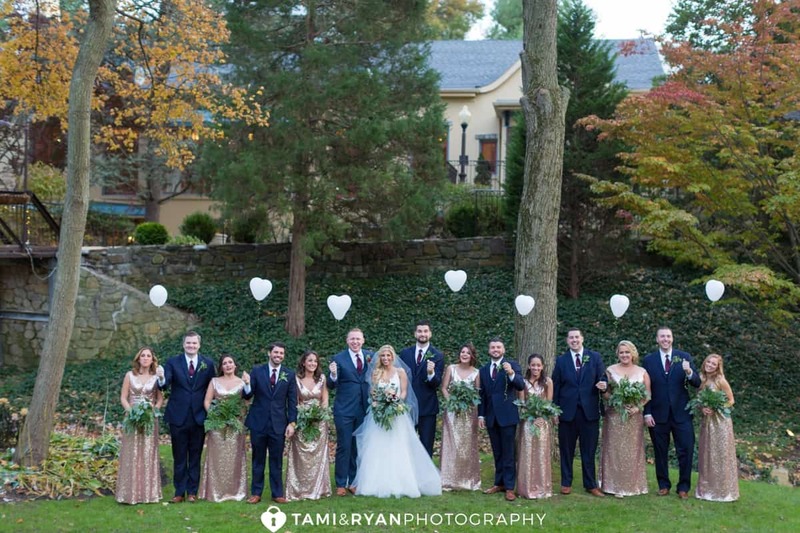 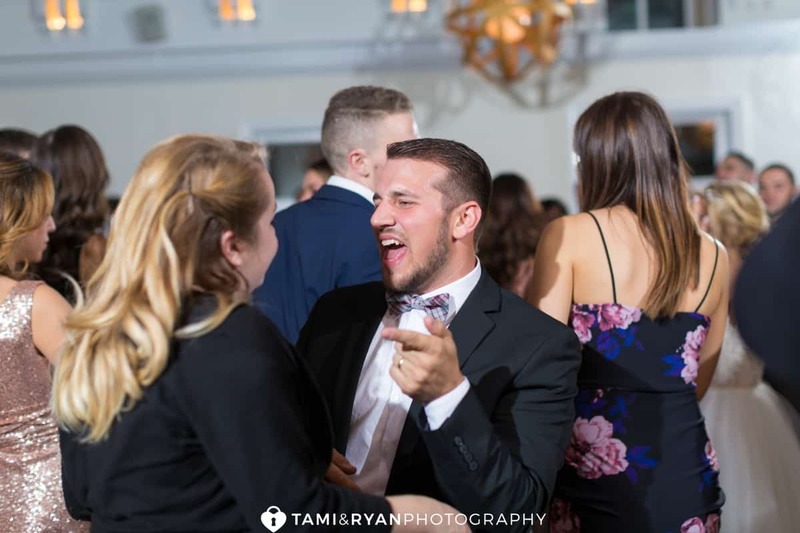 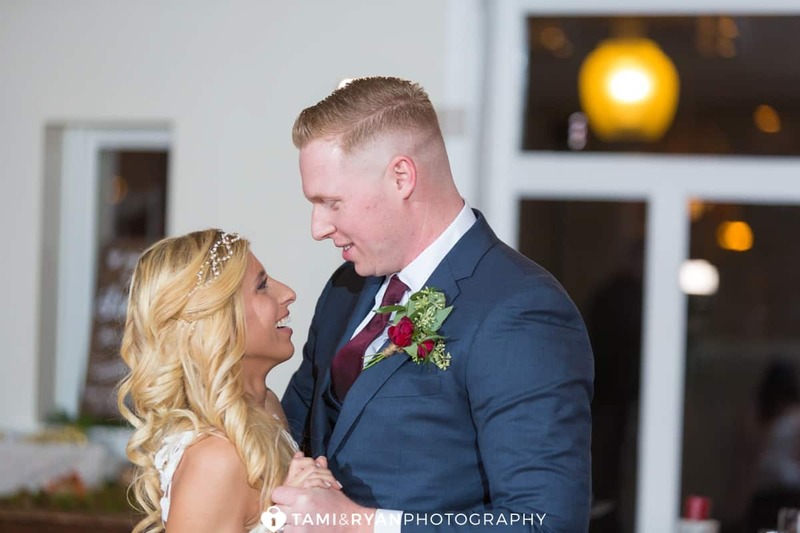 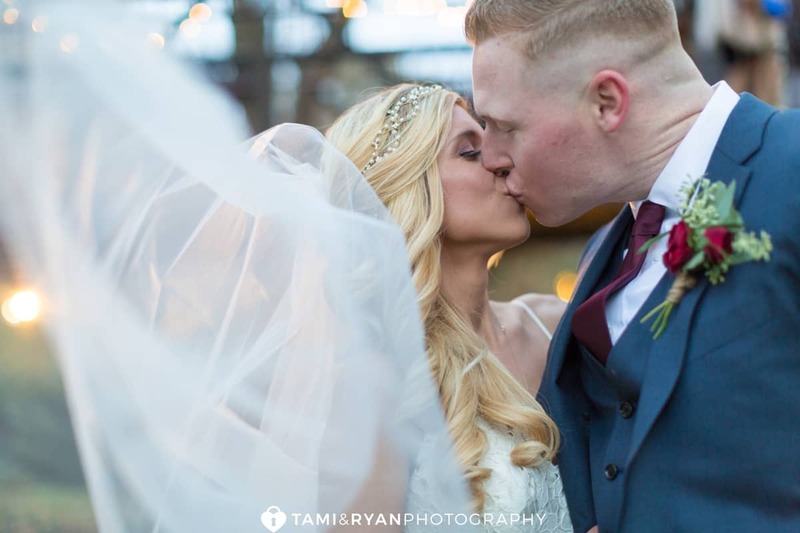 Carol & Giovanni’s fall wedding at Pomme Radnor was nothing short of incredible! 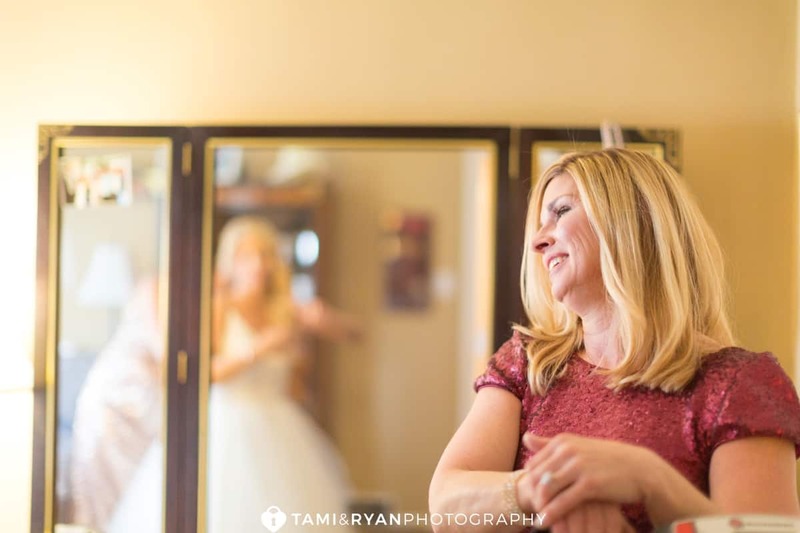 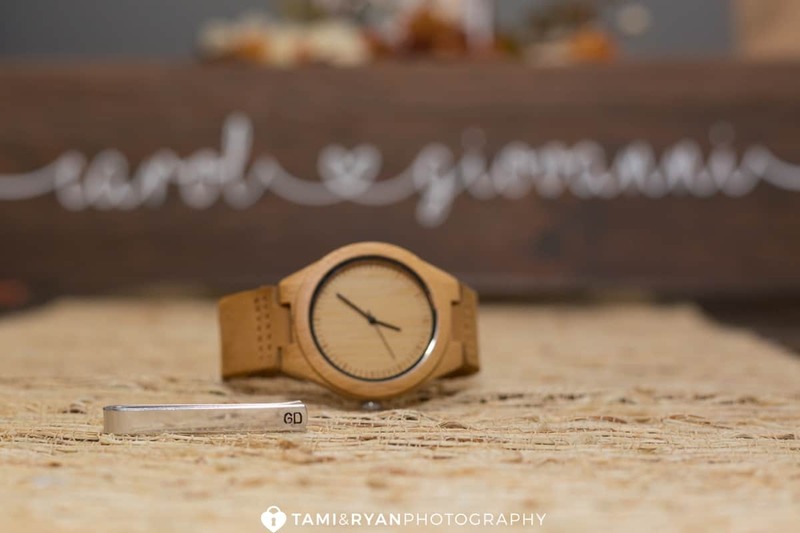 From the moment that Carol said YES, to meeting up again for their engagement photos, we’ve gotten to know them and love them and could not wait to capture this memorable day for the two of them! 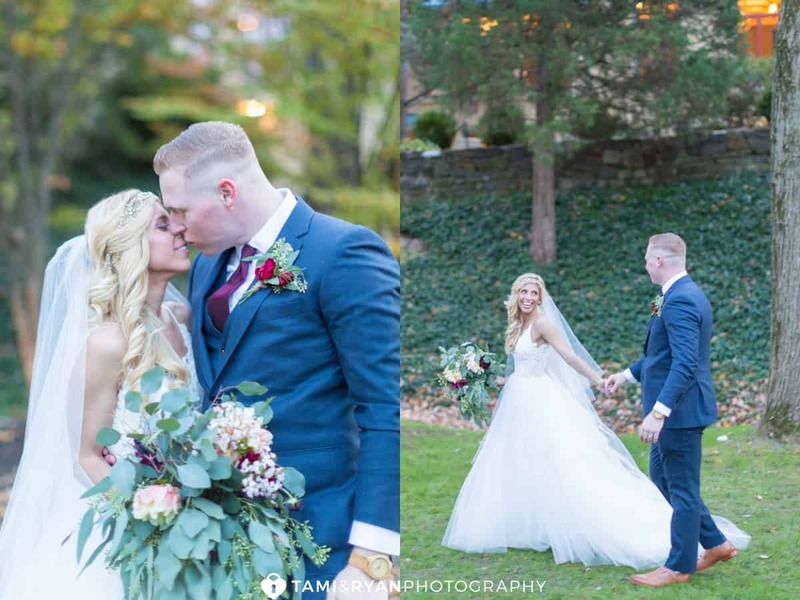 Carol’s bridal gown was from Anthropologie‘s line BHLDN. 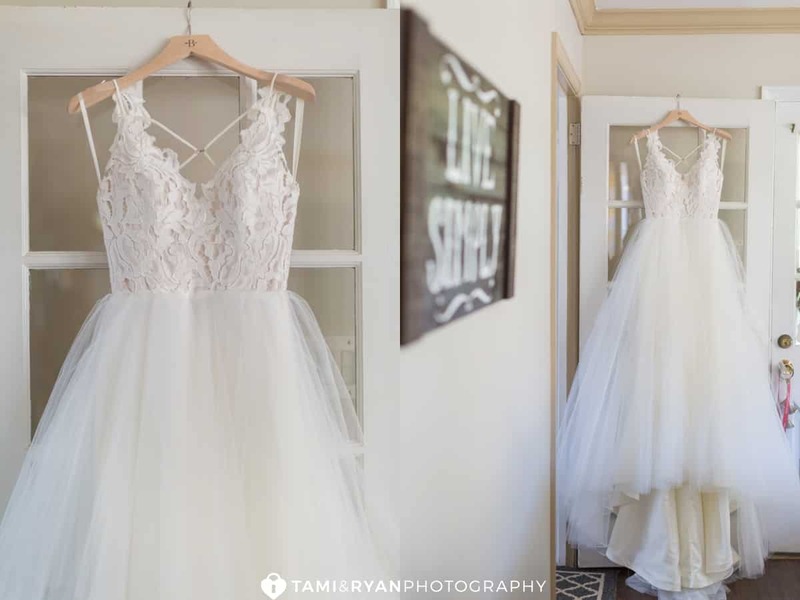 It was the type of dress that gave everyone one of those “WOW!” moments when they saw her in it for the first time. 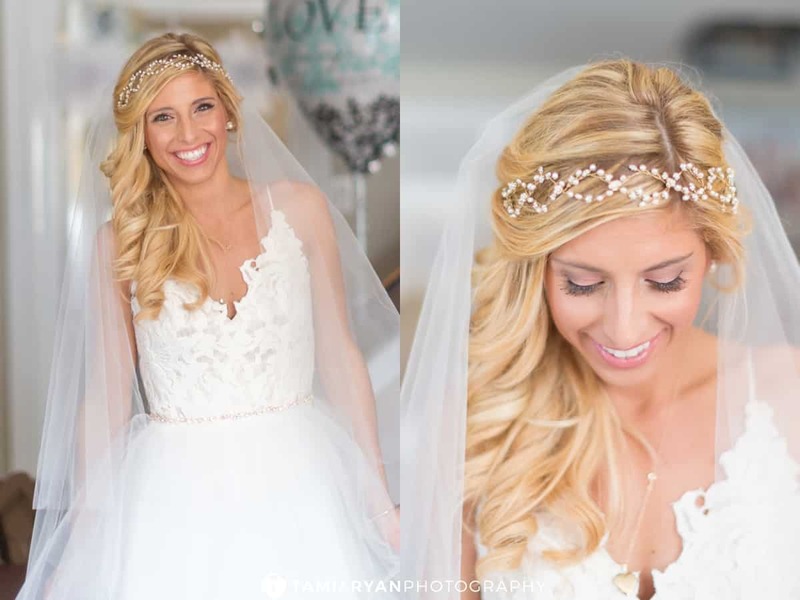 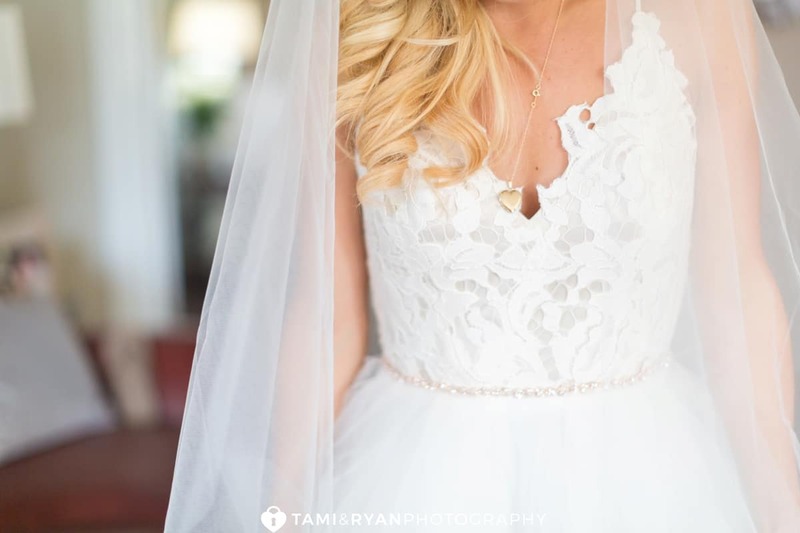 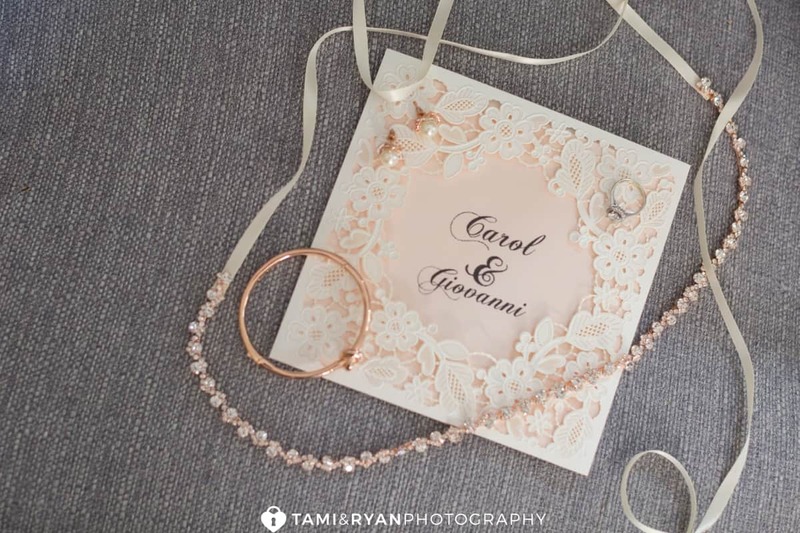 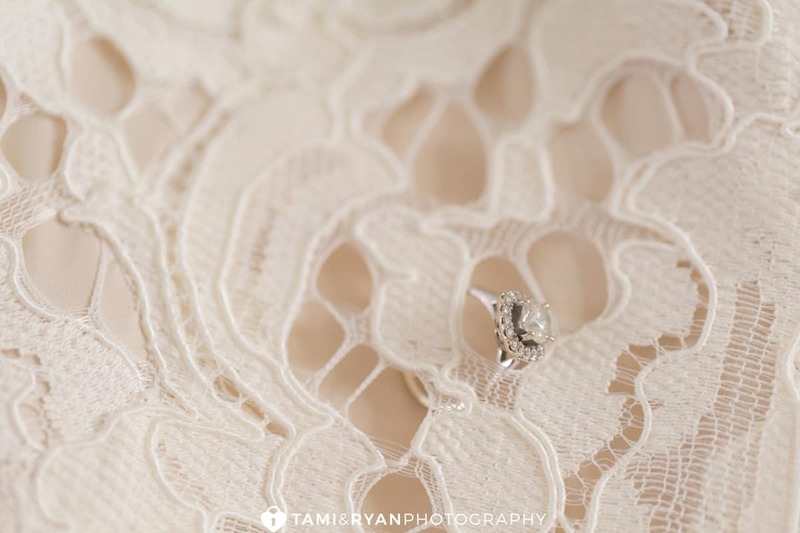 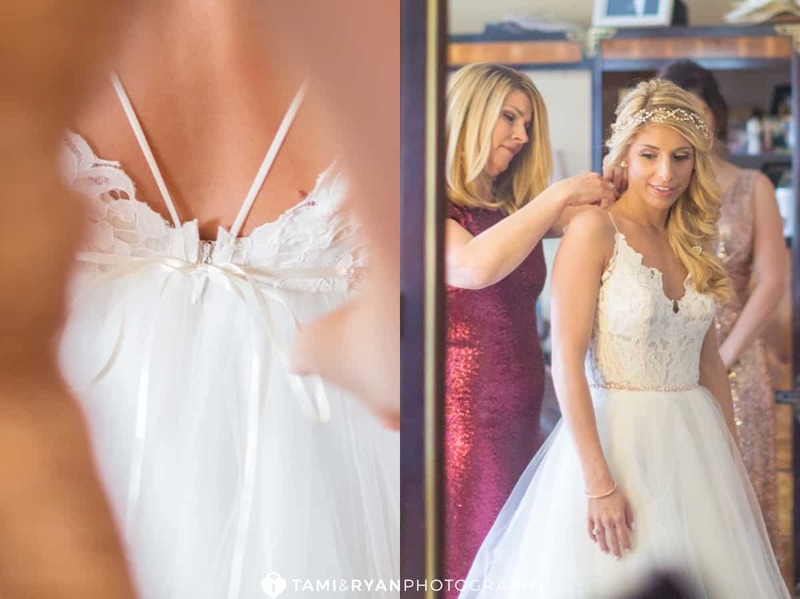 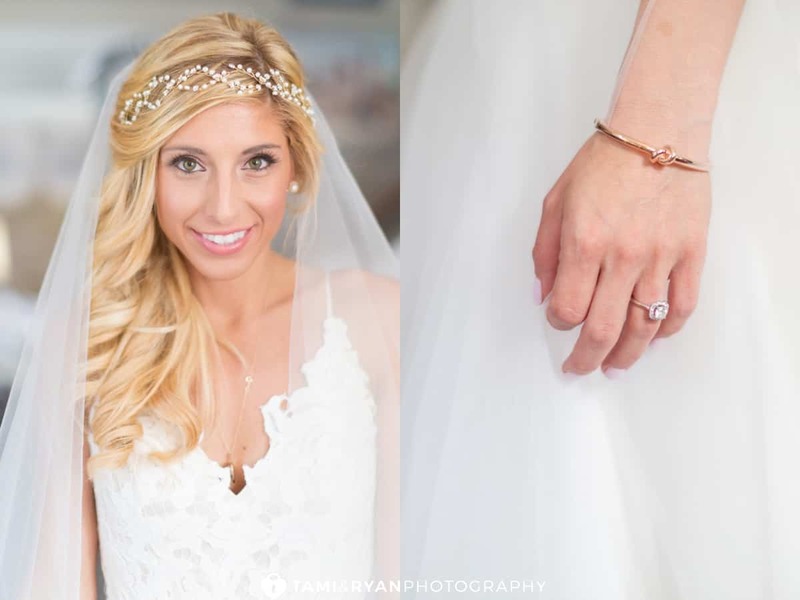 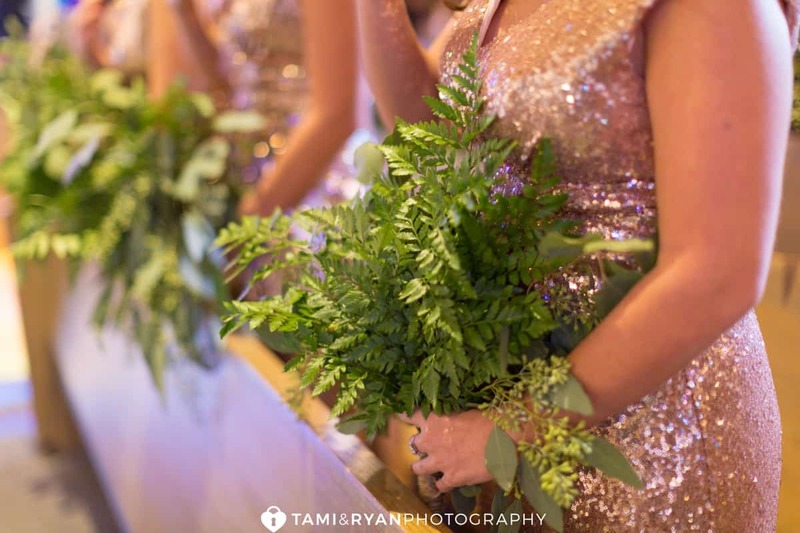 From the beautiful tulle to the rose gold rhinestone belt, there was no detail left untouched. 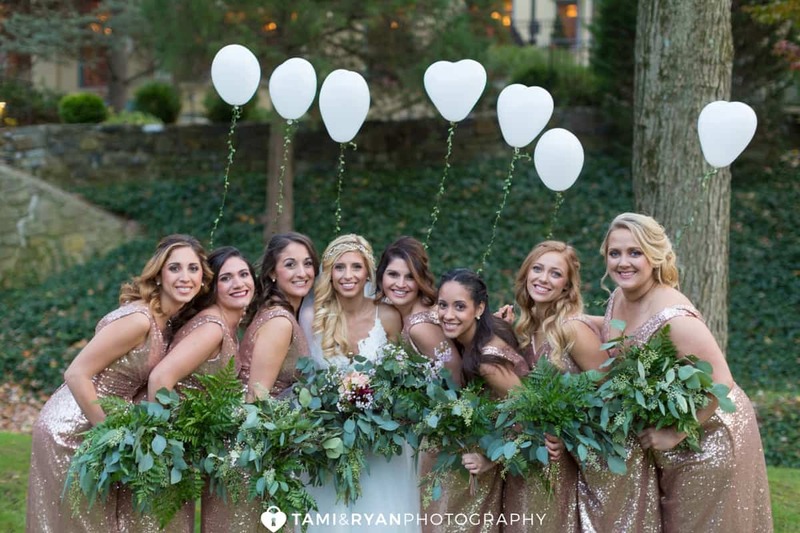 The bridesmaids full length sequin attire was by Christina Wu. 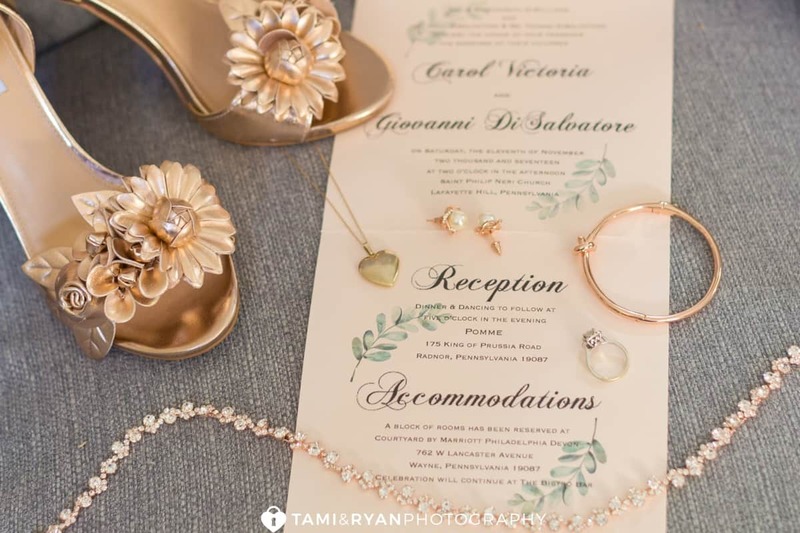 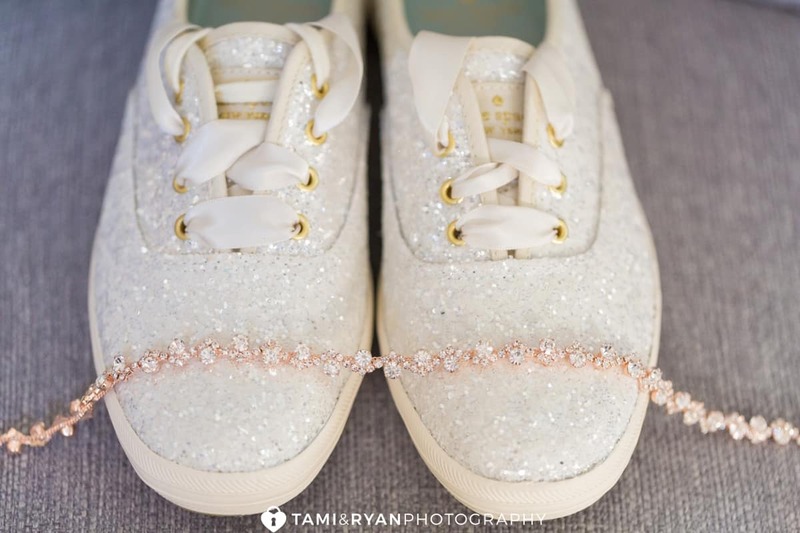 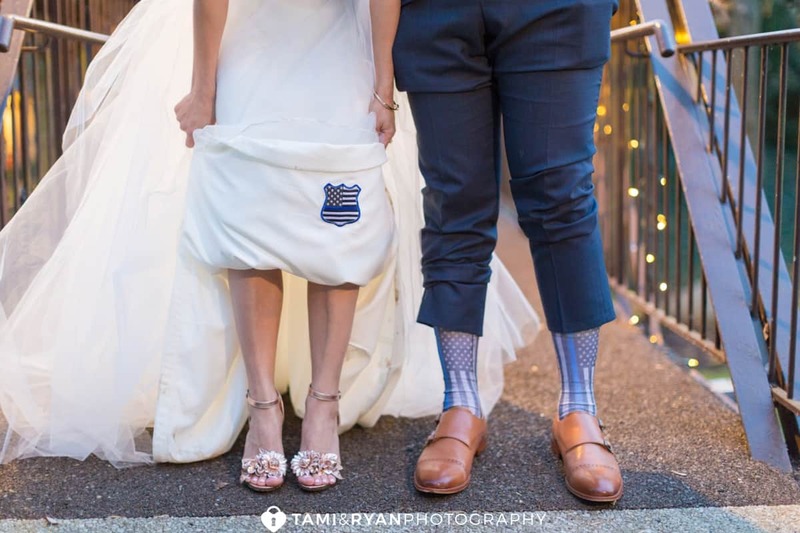 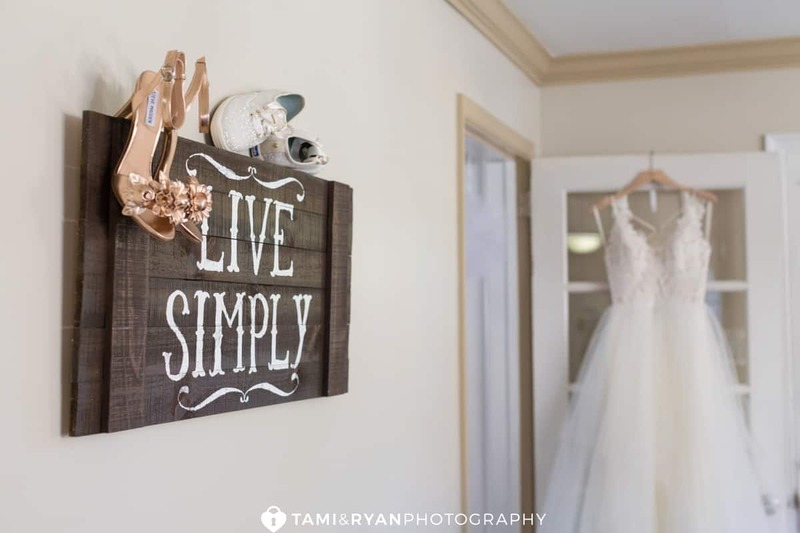 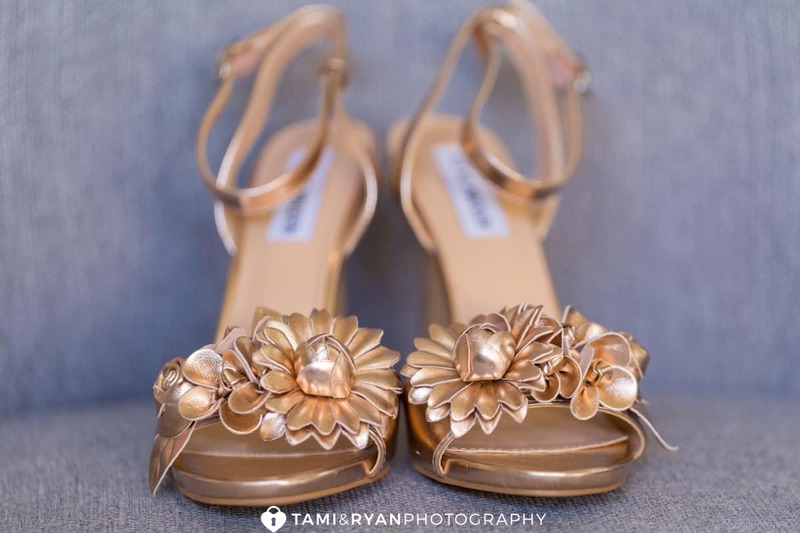 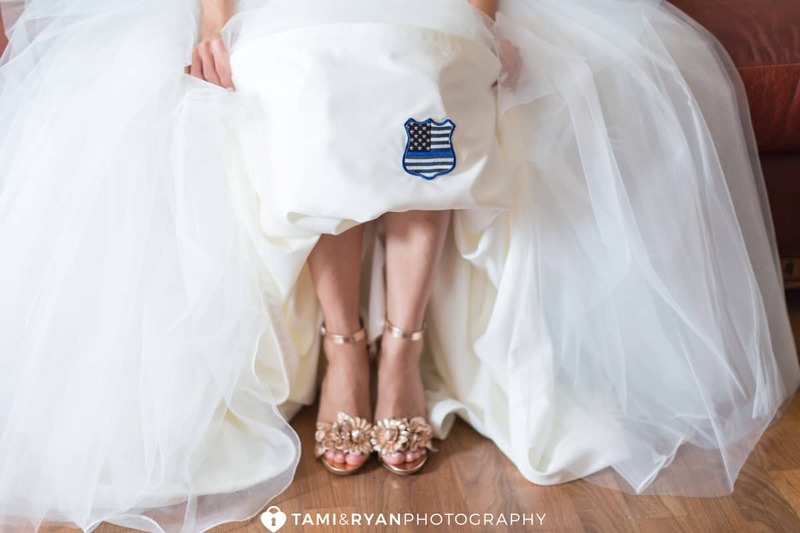 Although Carol decided to start the day off with beautiful heels, she had her cute Kate Spade sneakers waiting for her to dance the night away at the reception! 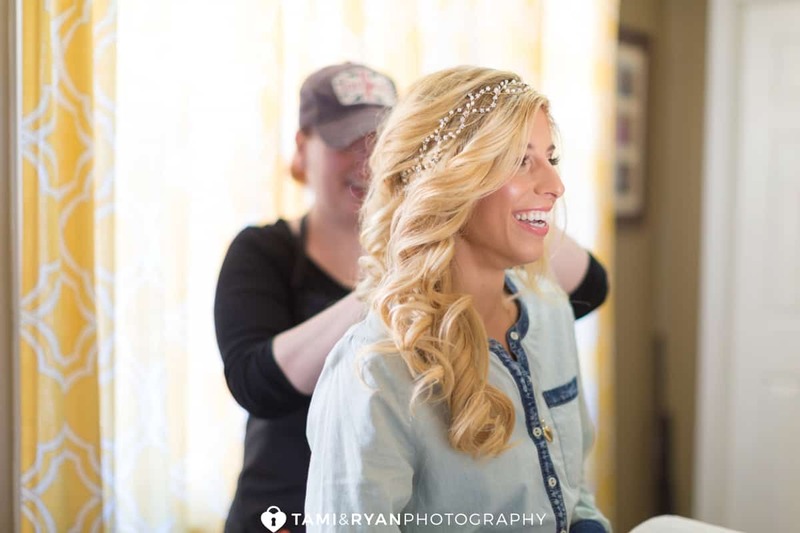 Carol and her bridesmaids got ready in the home where Carol grew up. 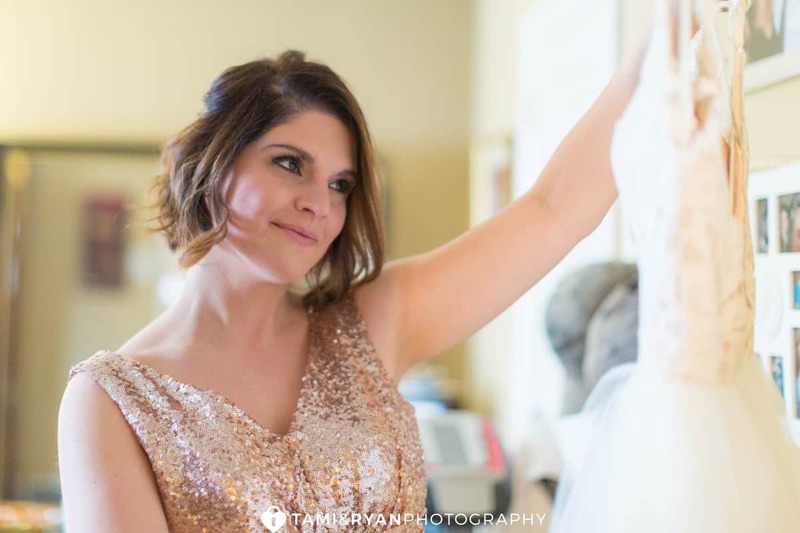 It was so much fun to have Nicole Owad with SL8 Hair Salon there to do the ladies hair as well as Bella Faccia Cosmetics to doll them up with some beautiful makeup for the day. 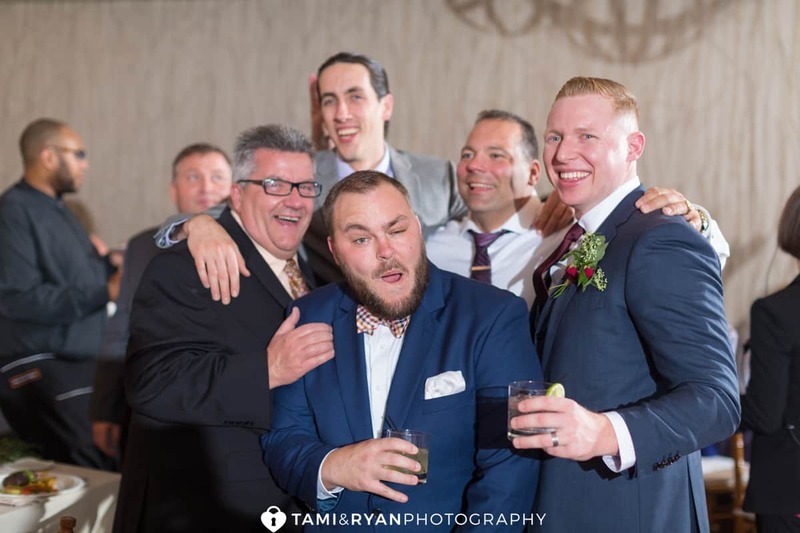 While the ladies were being pampered, the guys were having their own fun the morning of the wedding! 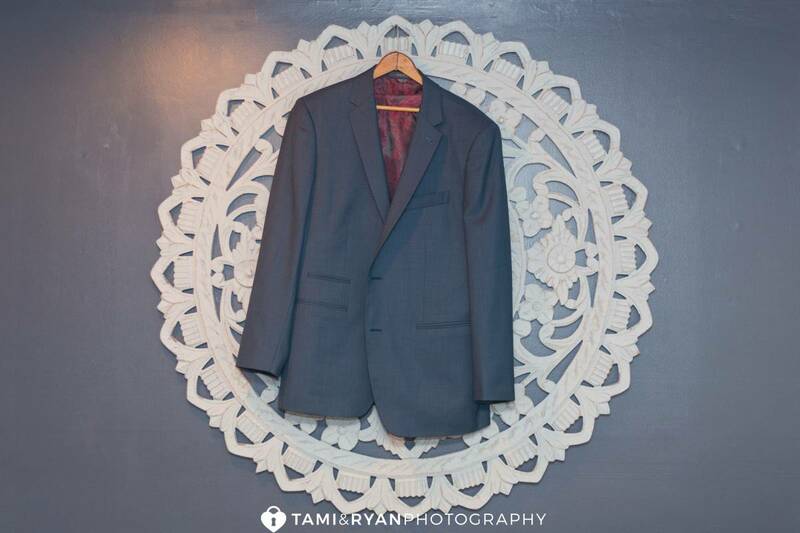 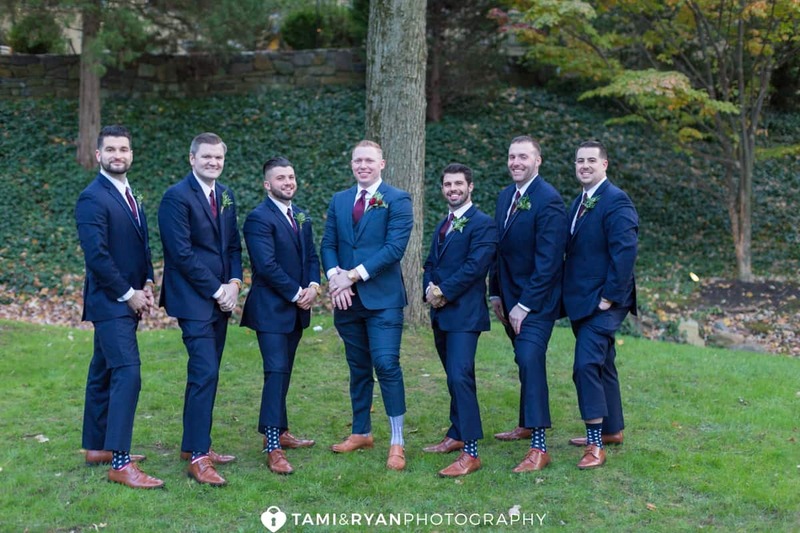 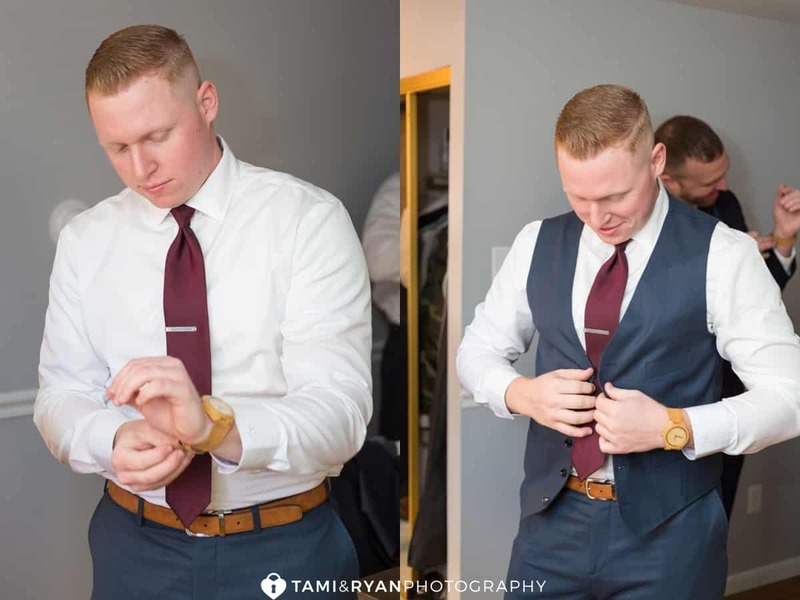 Giovanni looked absolutely dapper in his custom suit by Indochino. 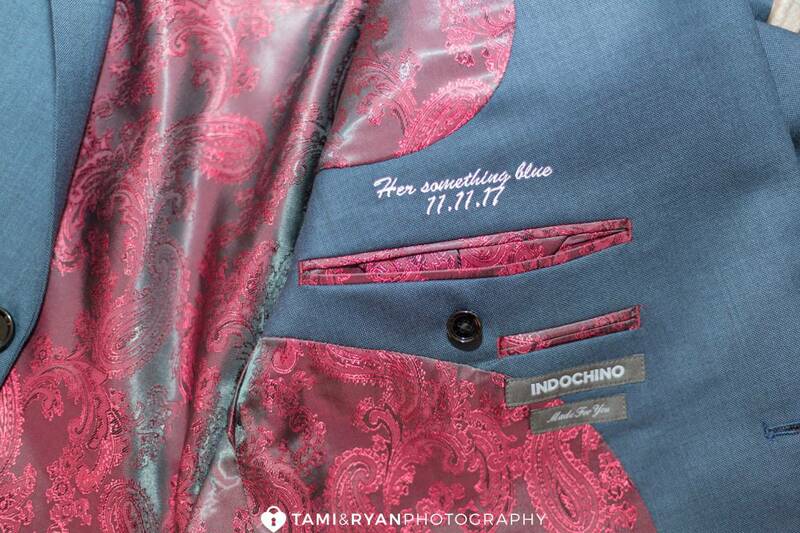 We loved his personalized inscription on the inside of his suit jacket. 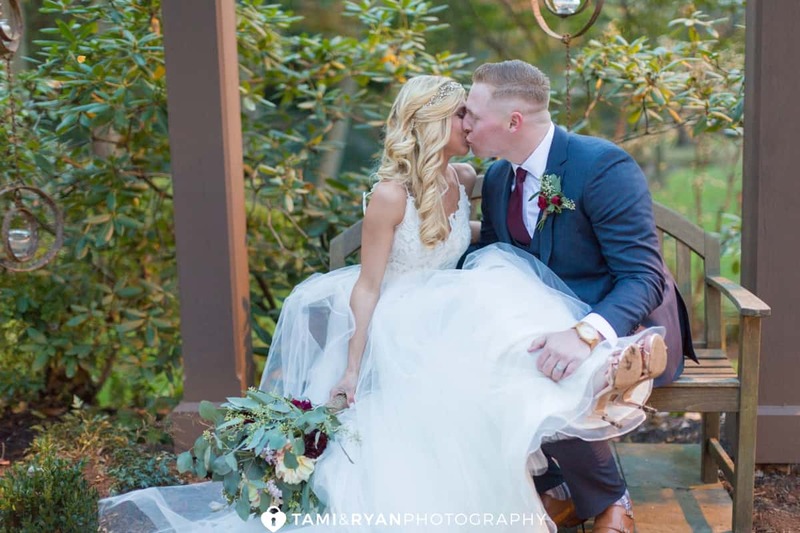 It makes us so happy when our couples want their fur-babies to be a part of their wedding day! 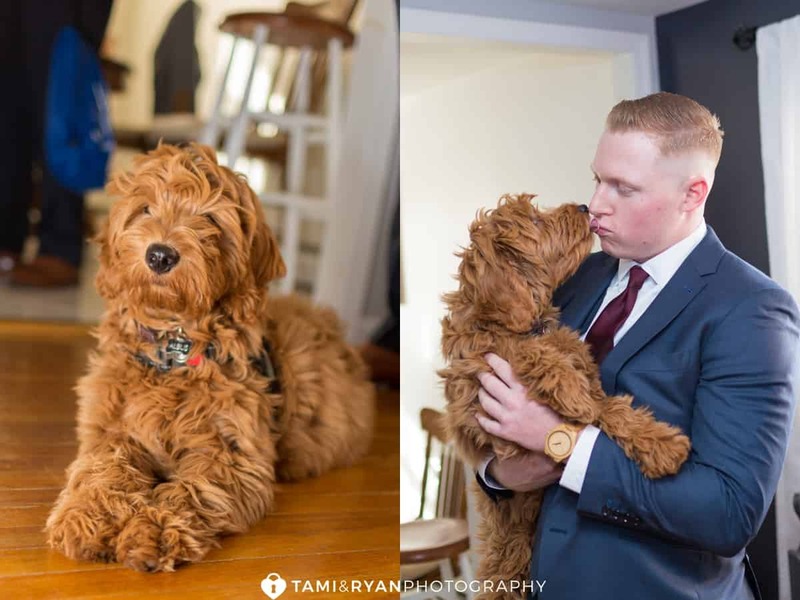 Carol & Giovanni’s new puppy, Albus Dumbledood made an appearance the morning of the wedding, hanging with his daddy! 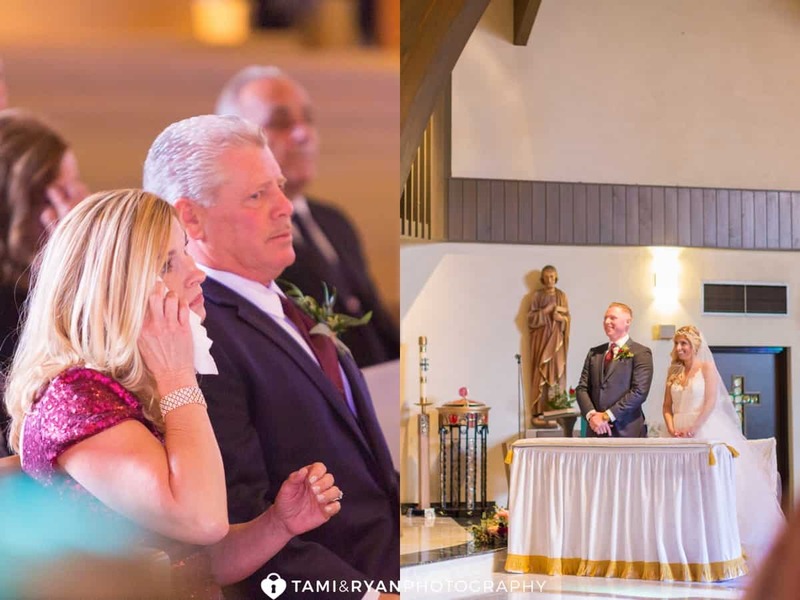 The moment that Giovanni saw Carol was so sweet, and so emotional. 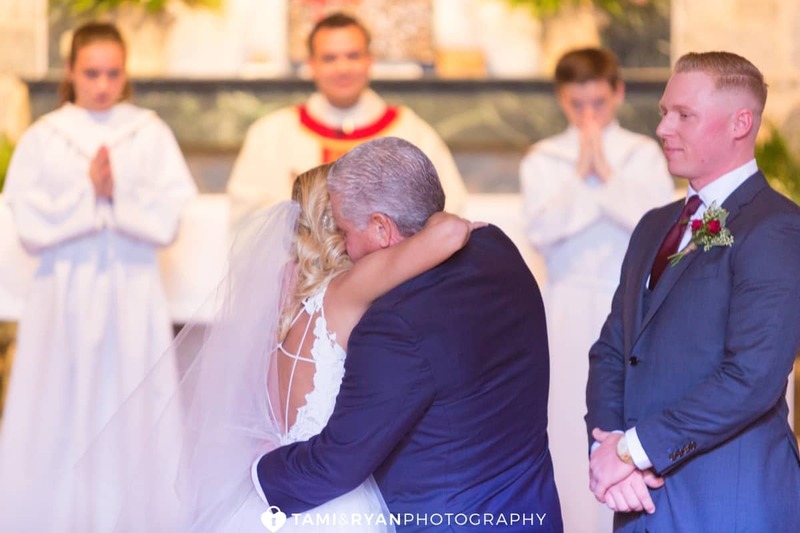 You could tell that he was anticipating this moment for so long. 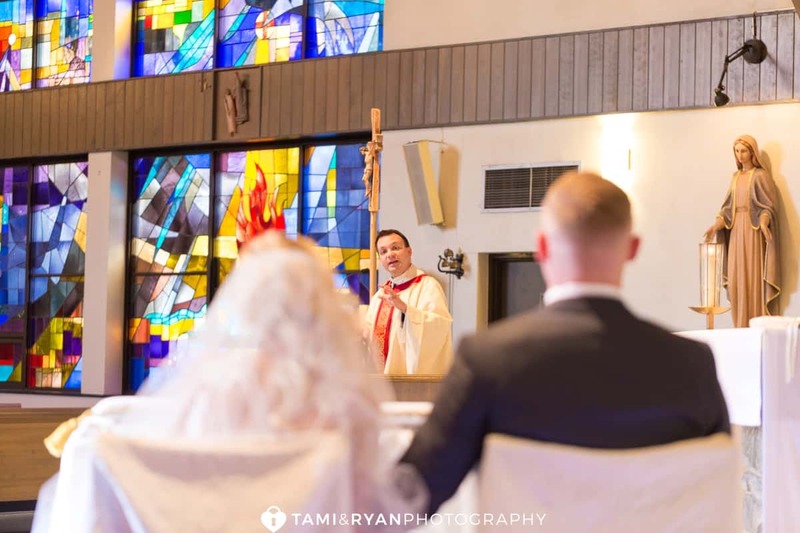 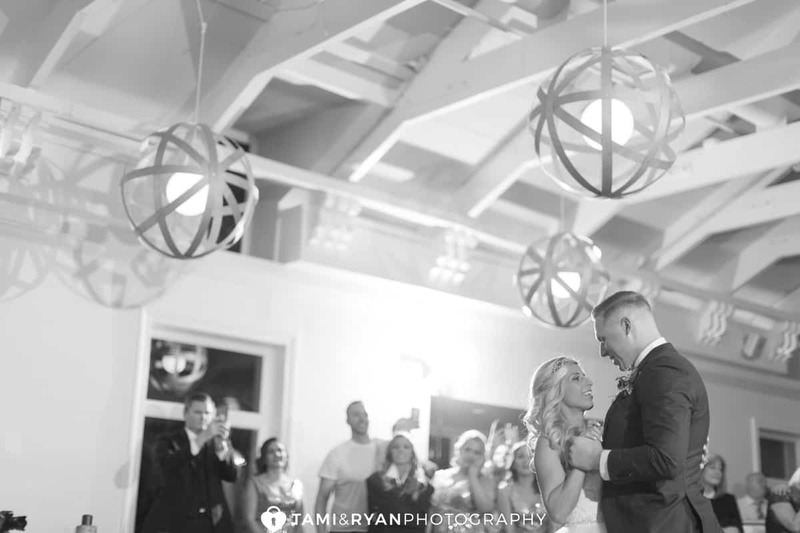 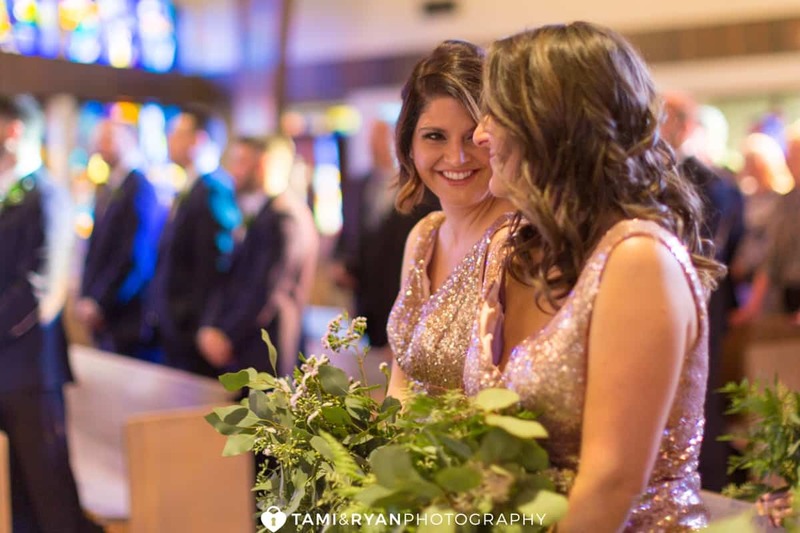 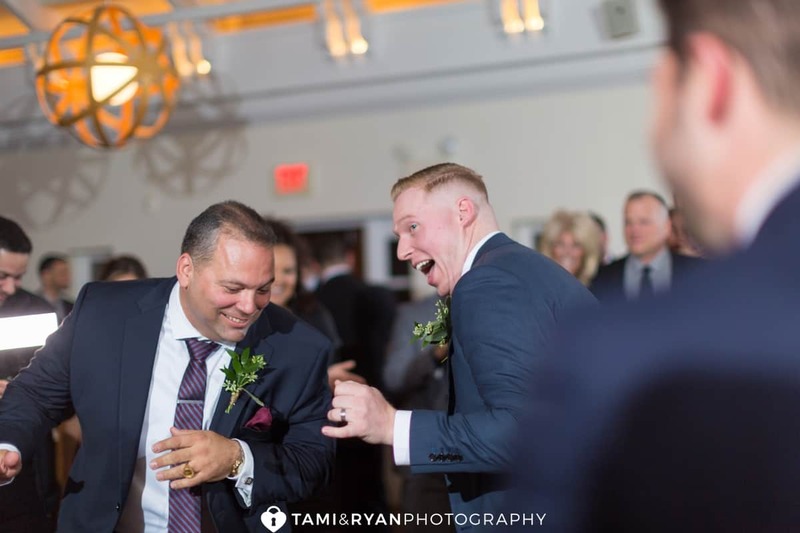 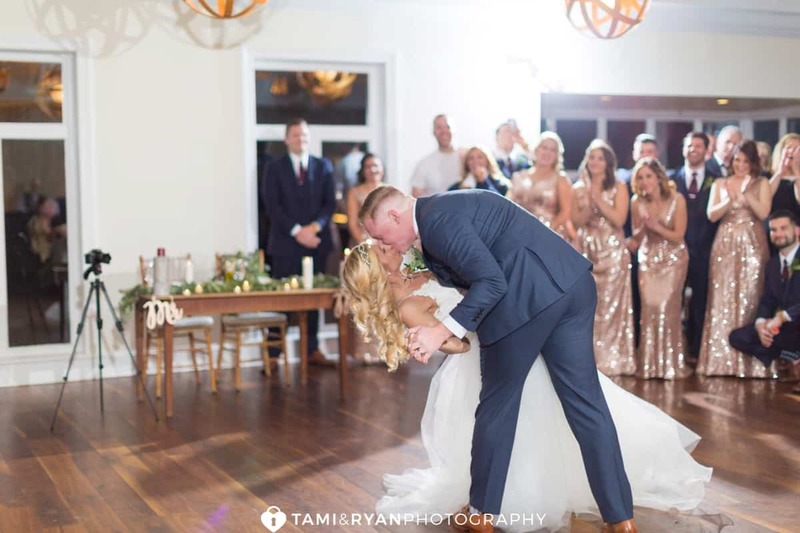 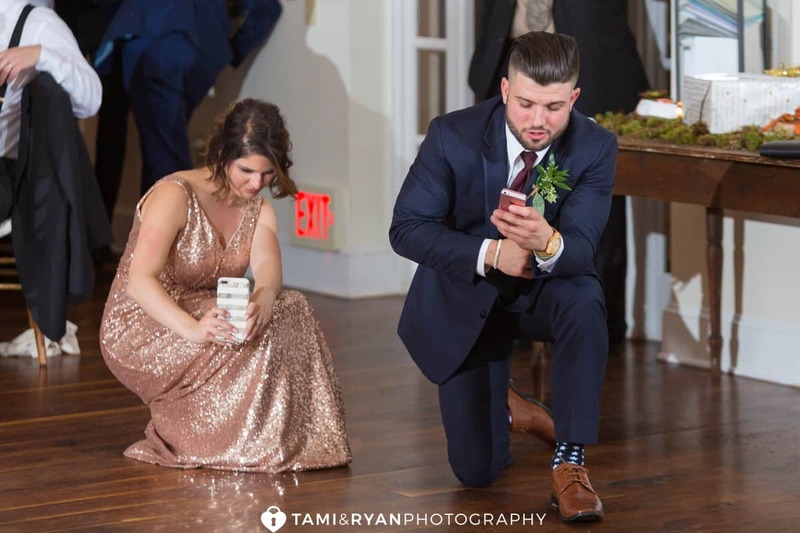 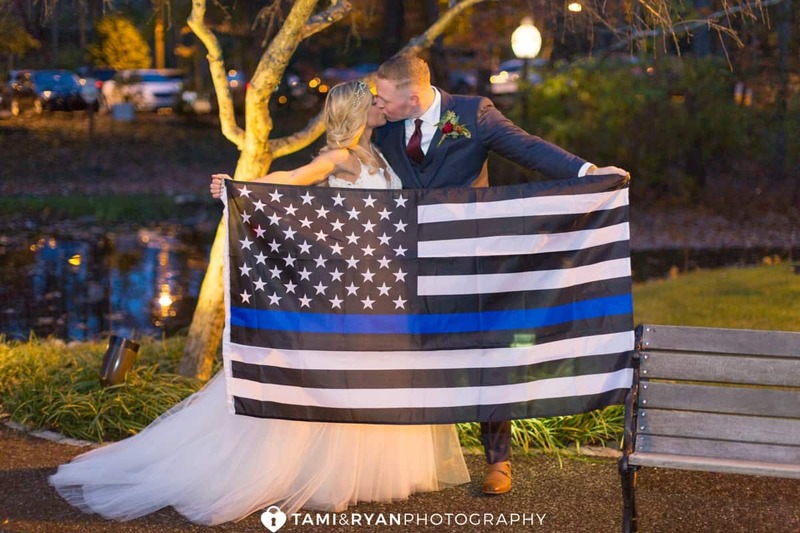 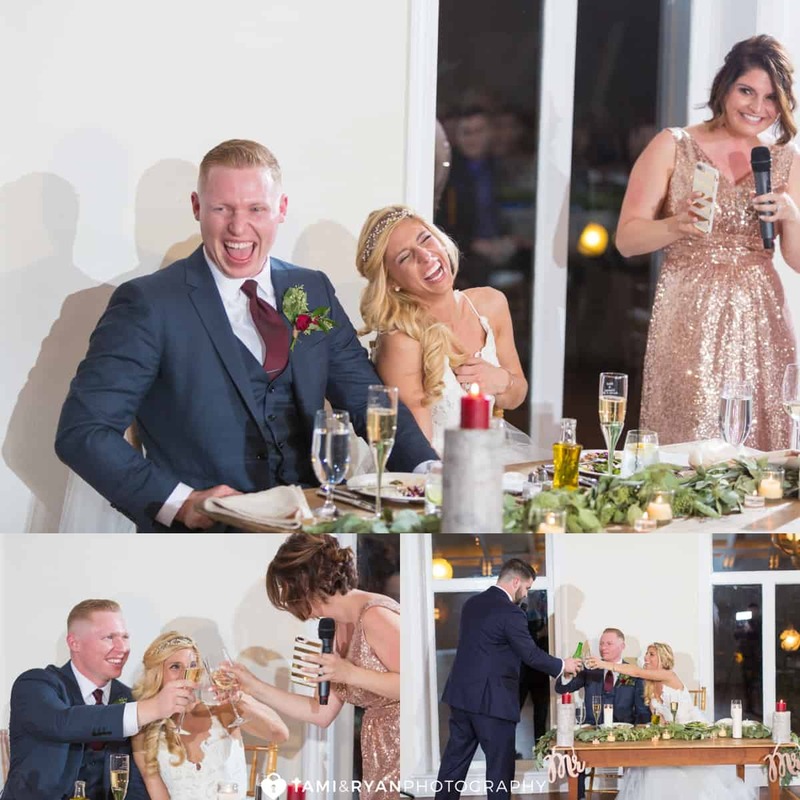 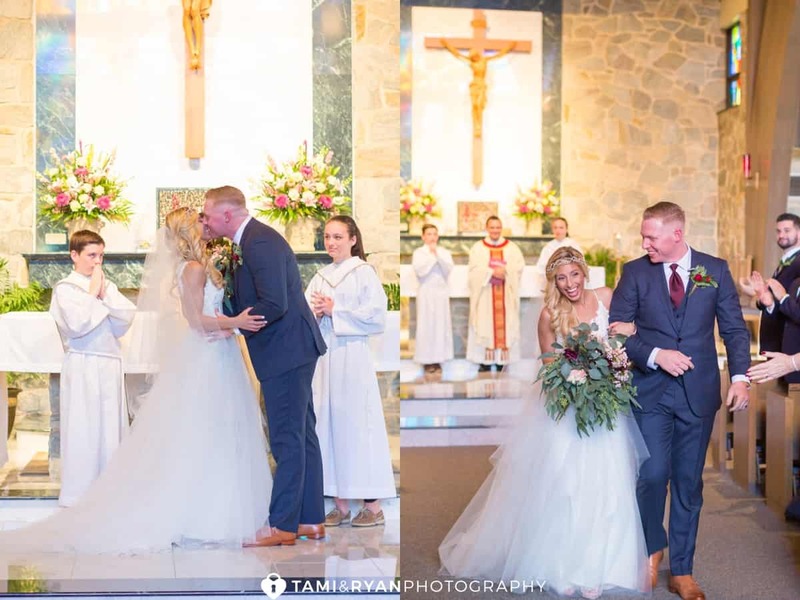 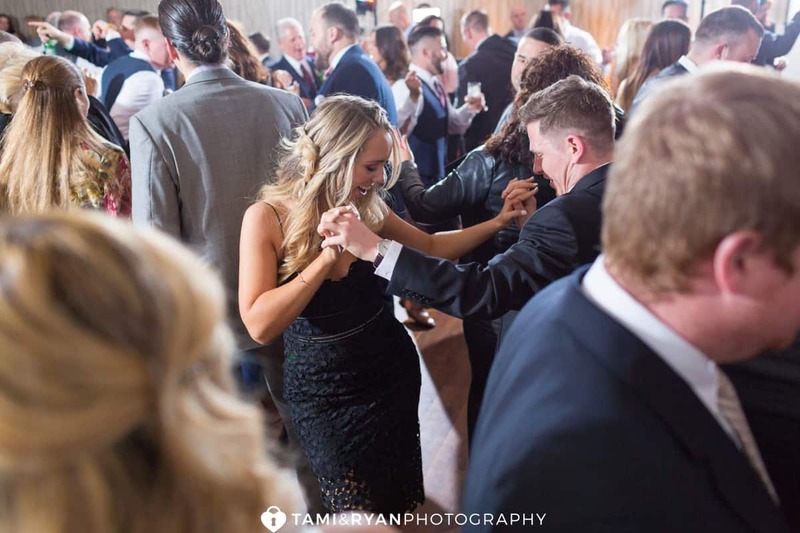 Their ceremony was meaningful, with a little bit of fun and laughter mixed in! 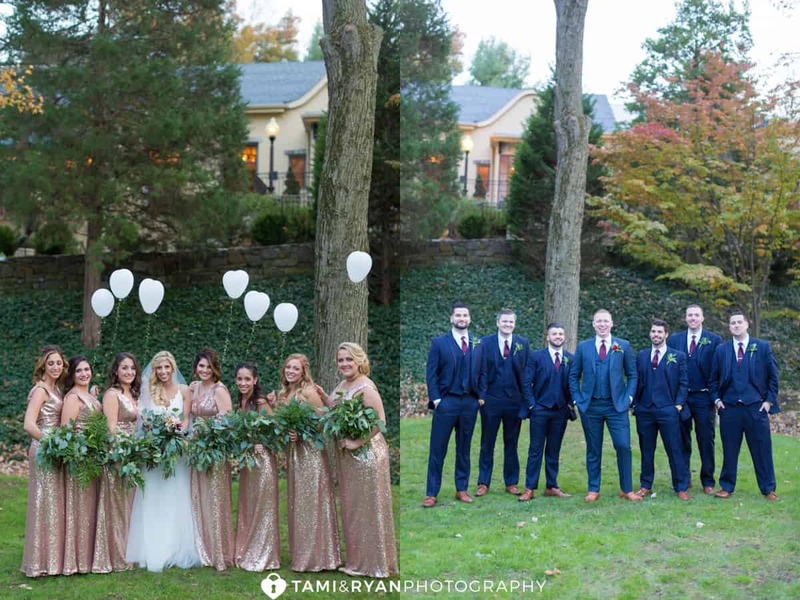 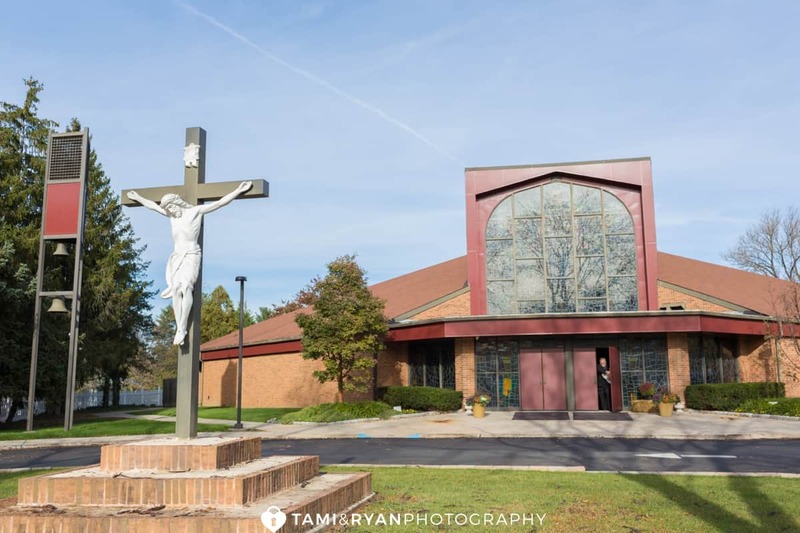 Pomme has such a beautiful outdoor space for photos, and we were so excited to take advantage of the entire area with Giovanni & Carols nearest and dearest! 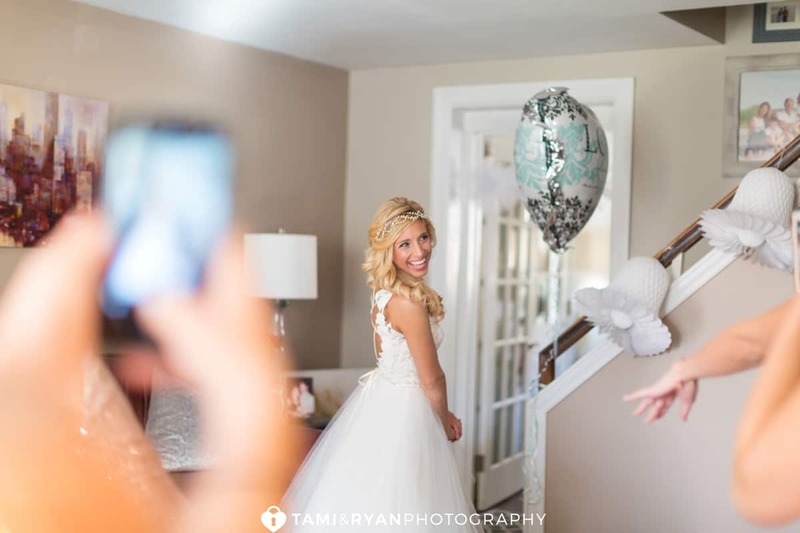 We had a bit of fun with the balloons that the bridesmaids blew up that morning! 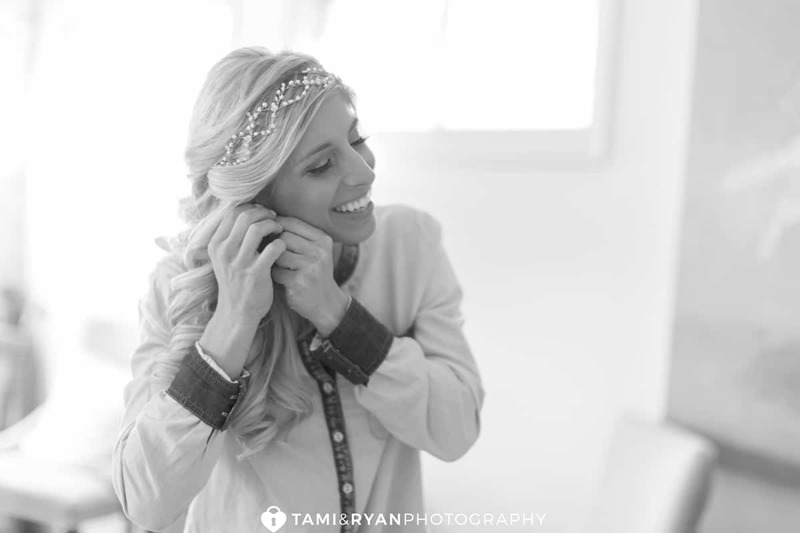 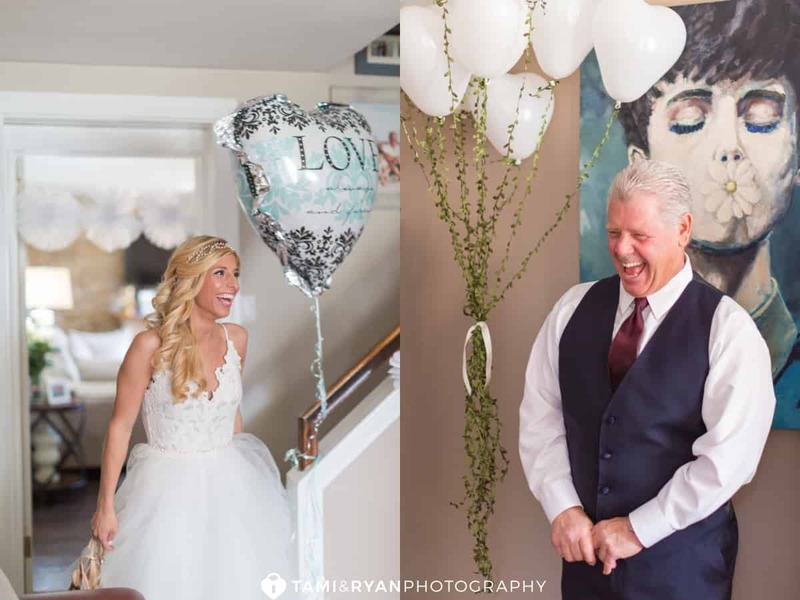 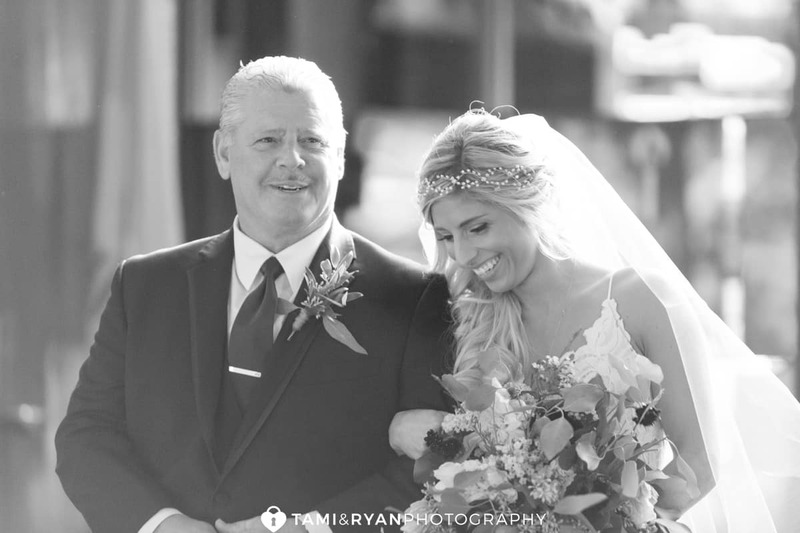 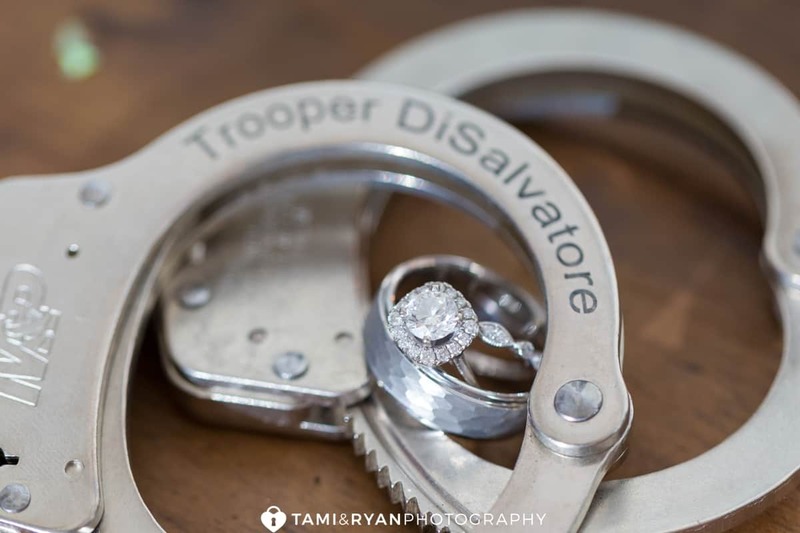 The love, laughter and romance was so easy to capture with a couple like Giovanni & Carol. 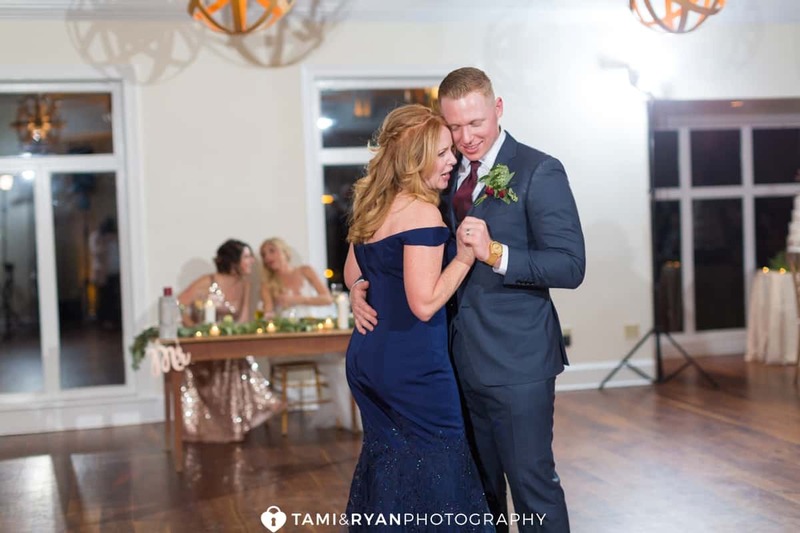 You could see how much he loves her and takes care of her, and how she loves to joke around with him and bring so much laughter to their relationship. 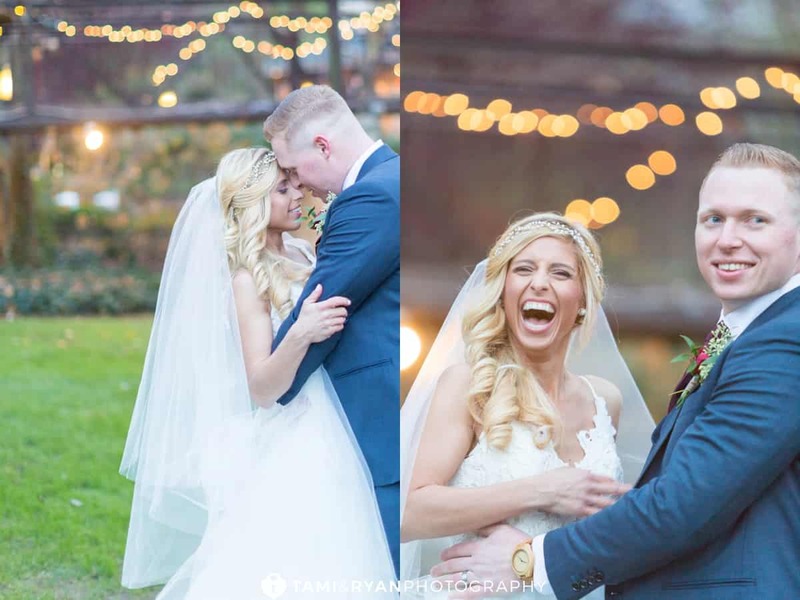 With Pomme‘s setting, just as pretty as a French Park, we had no shortage of areas to capture this perfect bride and groom together! 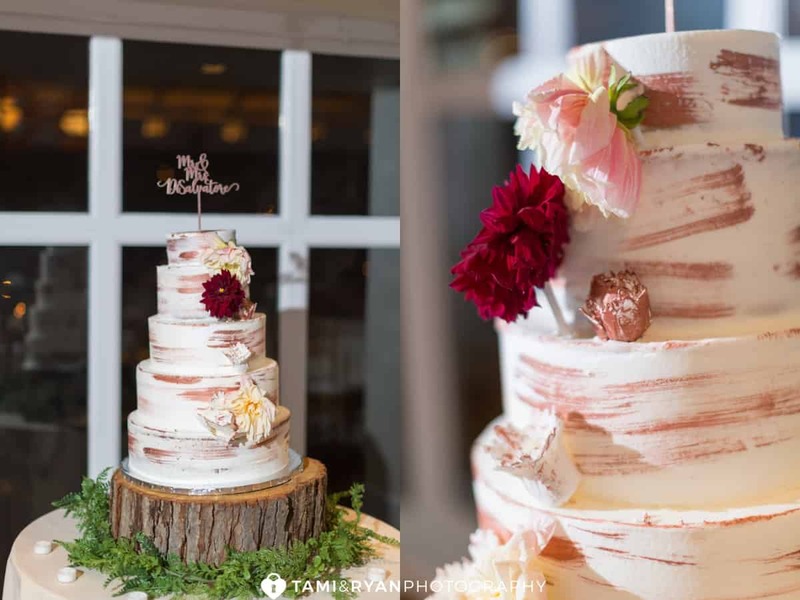 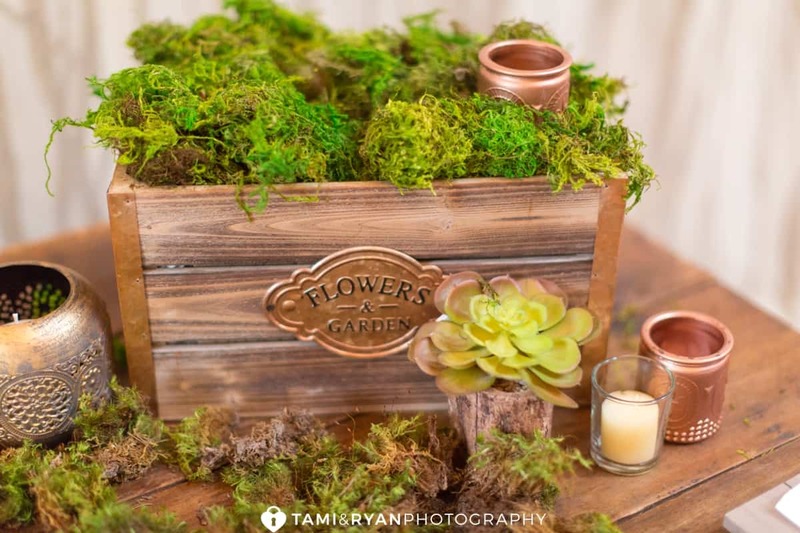 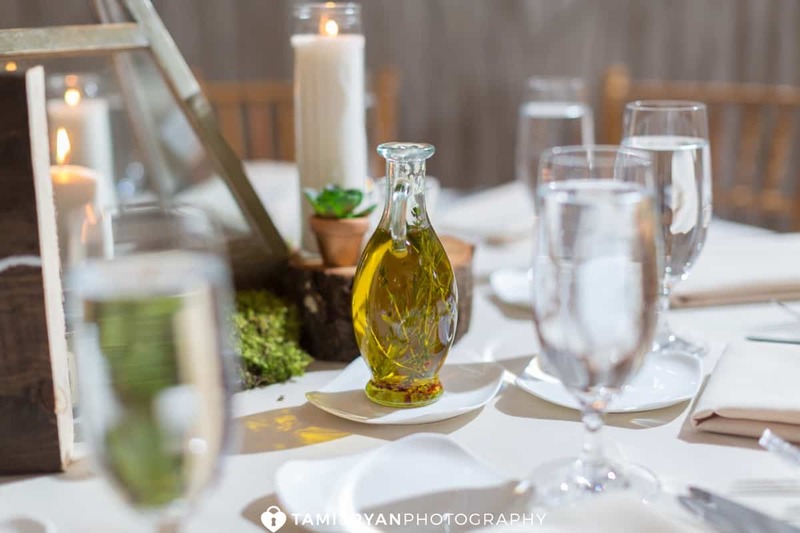 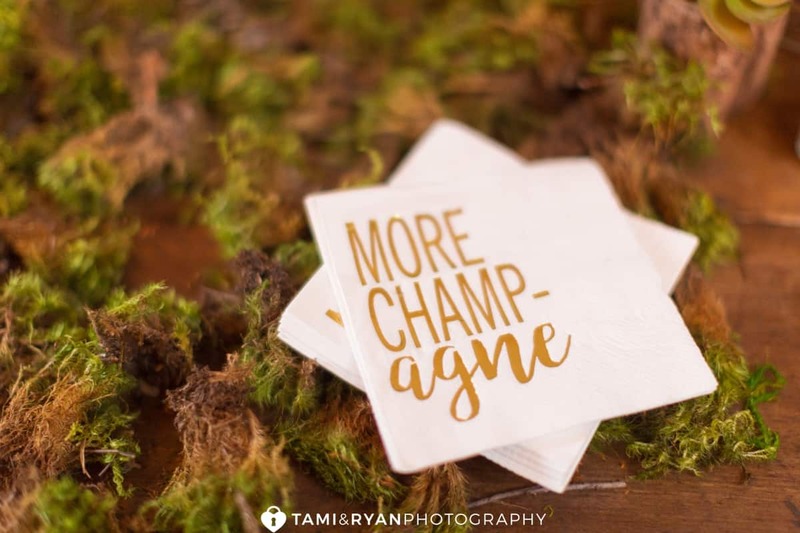 Pomme boasts of being a rustic, chic and natural, unique wedding venue, and it surely did not disappoint! 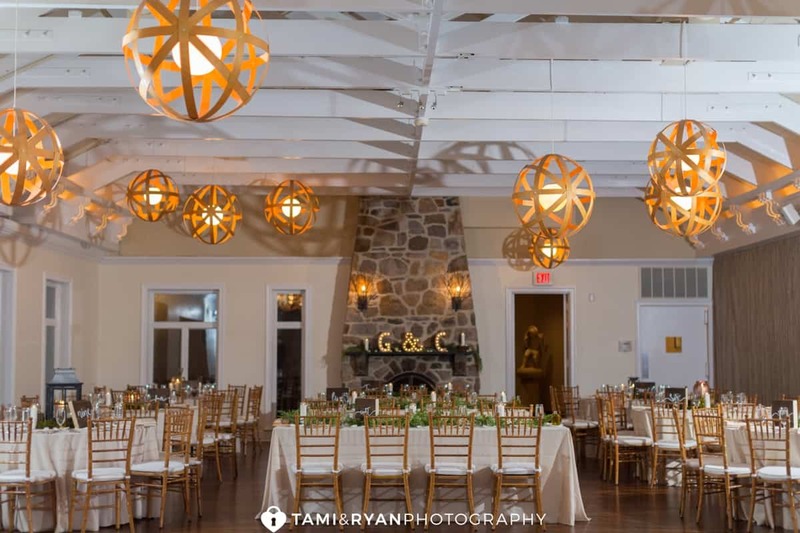 The large windows overlooked the outdoor scenery, while the inside showed off the beautiful wooden globe lighting and natural aesthetic. 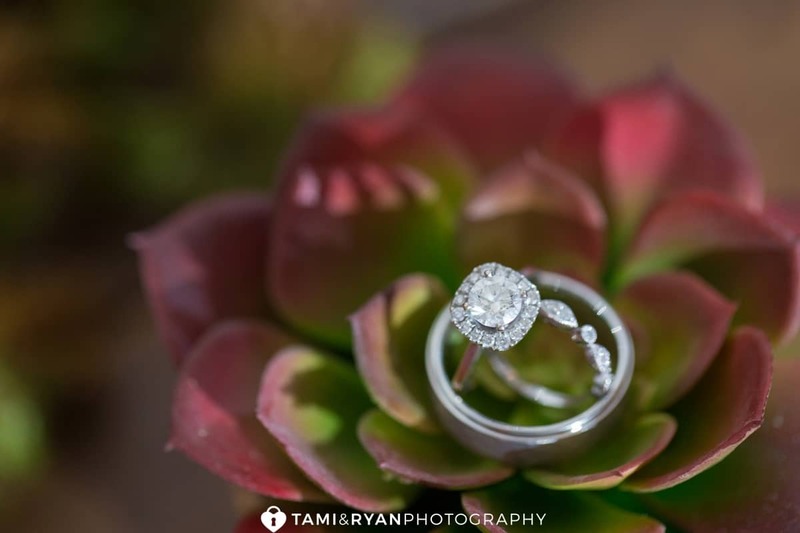 It was simple, yet glamorous! 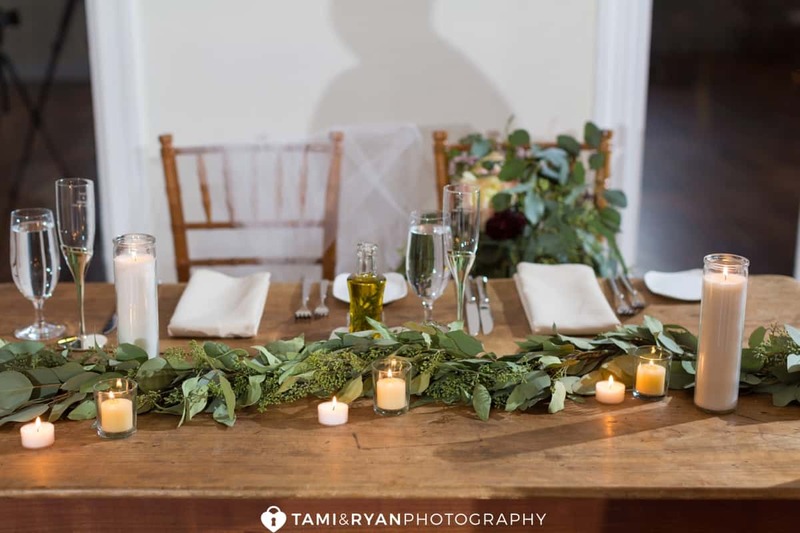 The wooden chairs, with white tables clothes and greenery galore really set the mood for the evening. 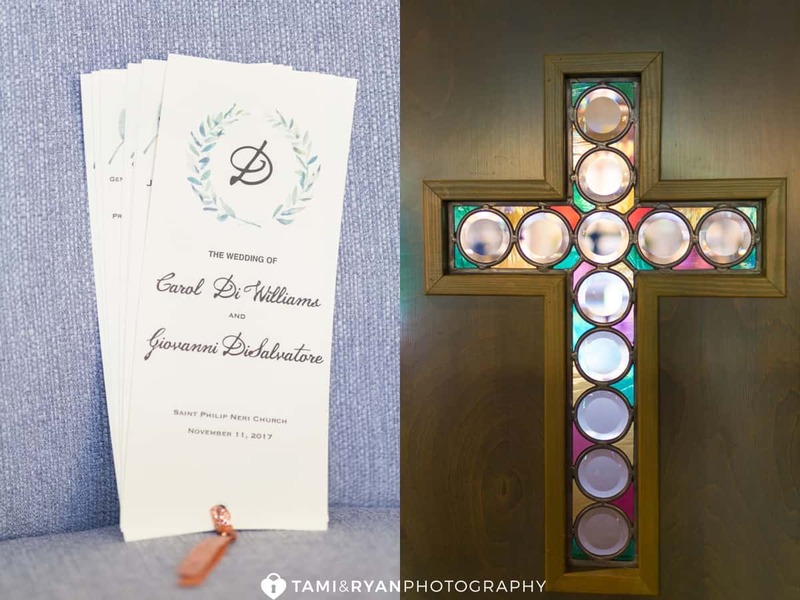 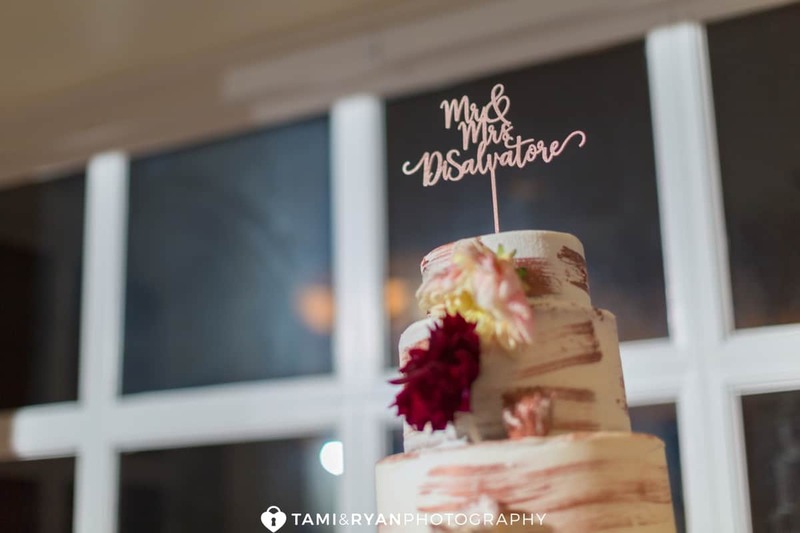 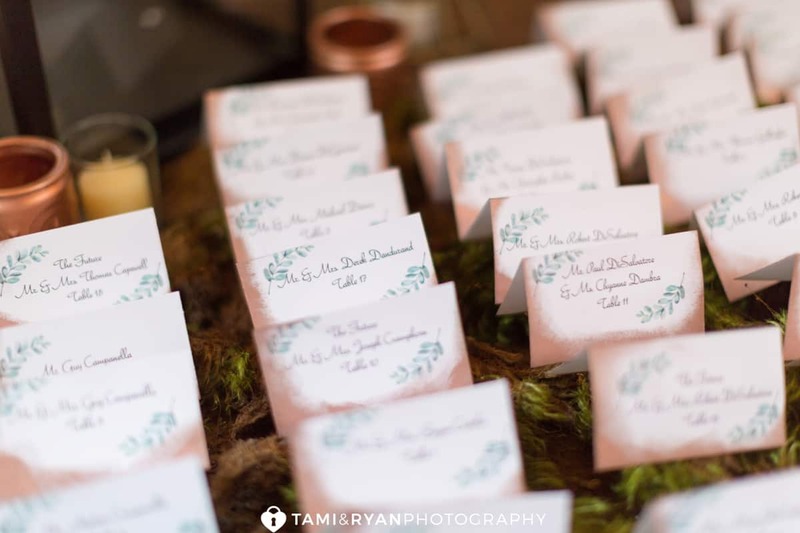 All of the details, from the place cards to table numbers, were self made by the bride! 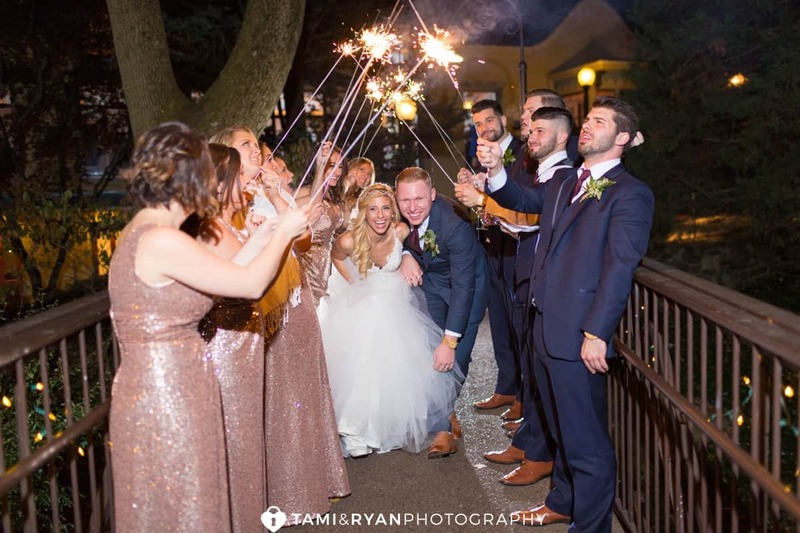 Sparklers are such a fun way to end the night with the bride and groom! 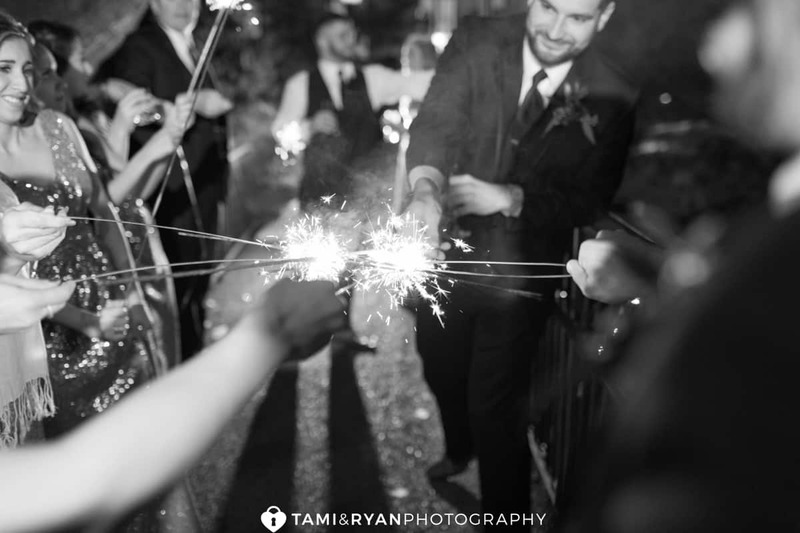 Sometimes we so a little light-painting, and some times they have the most important people gathered around them as they leave their wedding, and begin their journey as husband and wife! 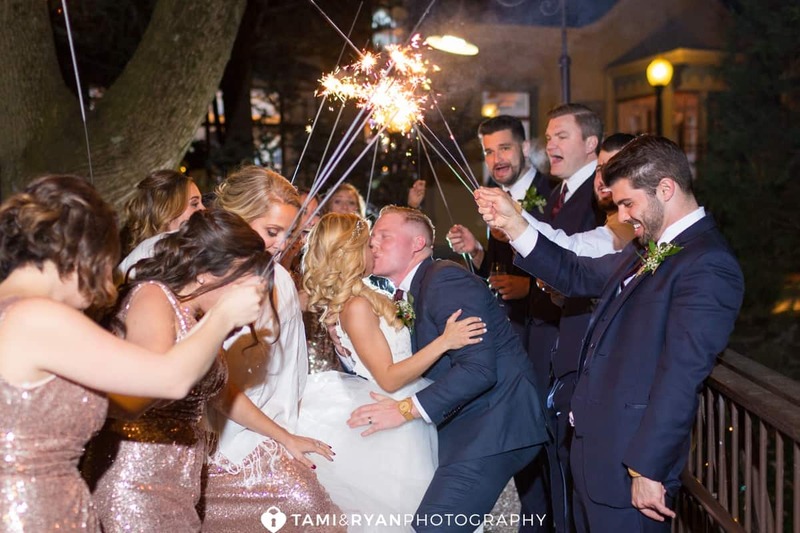 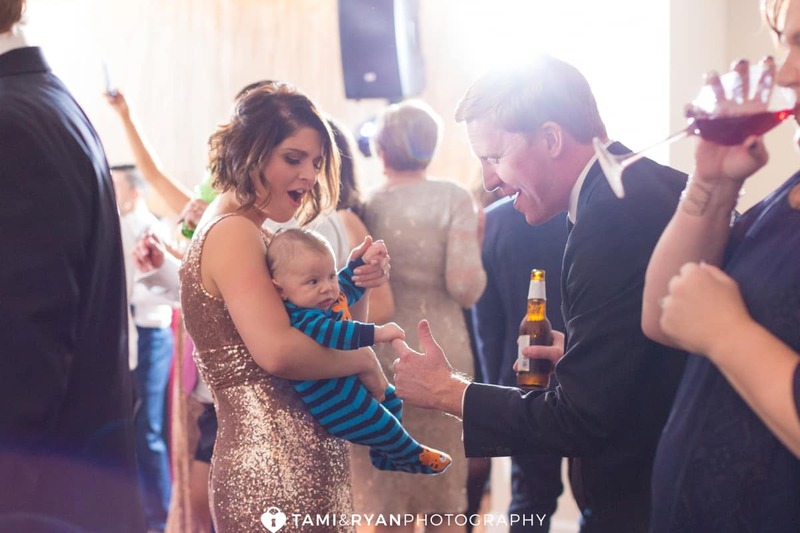 We highly recommend the 36″ sparklers to last the longest and to have the most fun with!